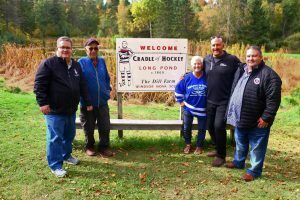 October 5, 2018 Windsor NS, On the way to the initial announcement of the Long Pond Classic 2019 NHL Legends of Hockey Tour, Al Iafrate stopped by the Dill Family Farm to view the extensive hockey memorabilia and artifact exhibit. 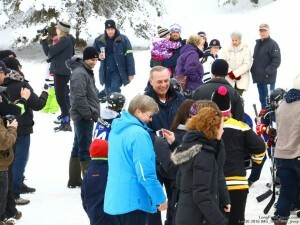 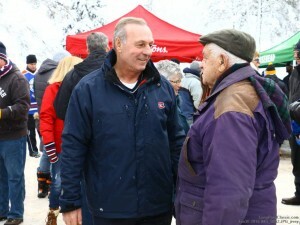 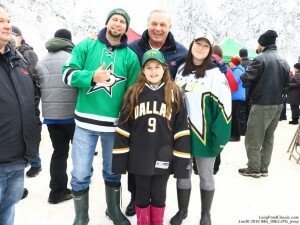 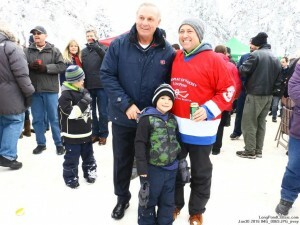 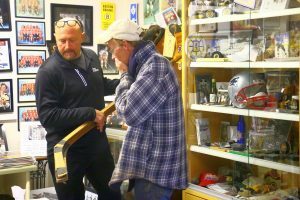 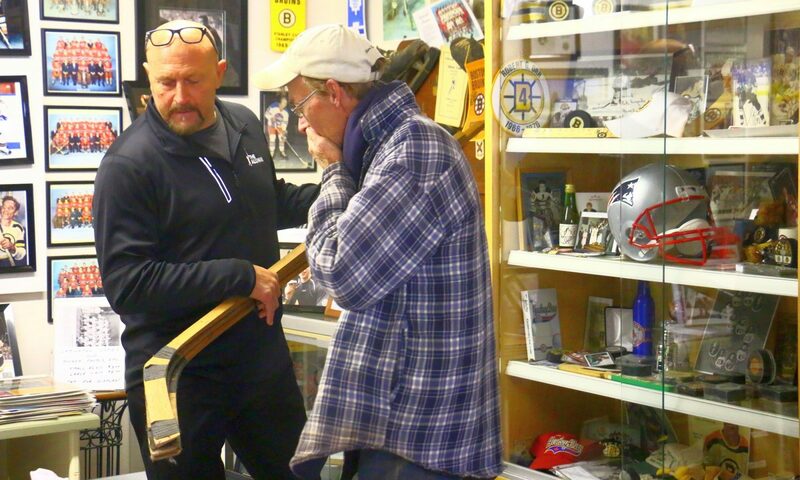 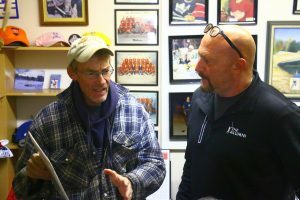 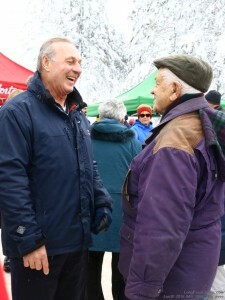 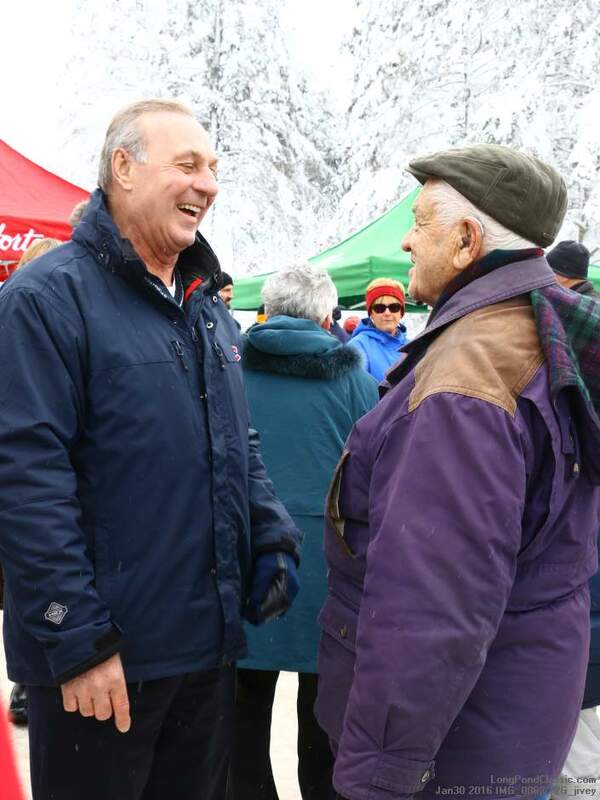 Engaged in conversation with Danny Dill (Keeper of the Long Pond), Al took the time to view the family’s exhibits and reminisce with Danny Dill on some of their more memorable moments from hockey’s past. 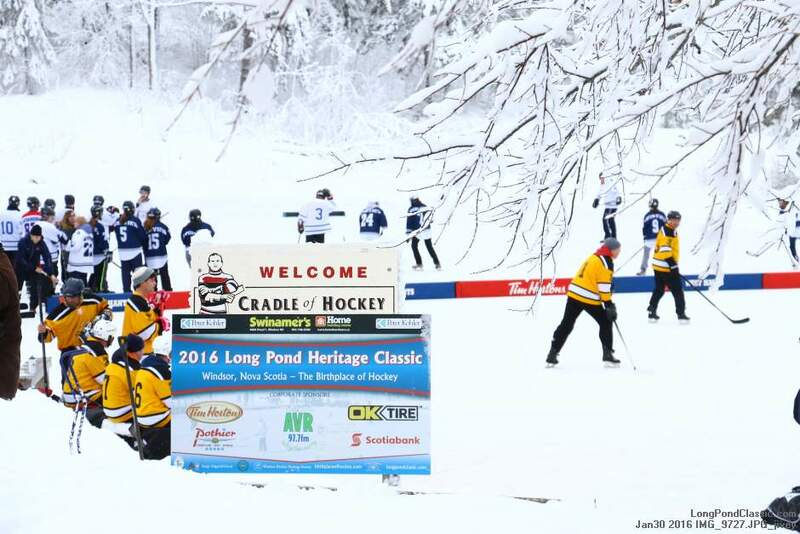 Windsor – Toronto Maple Leaf 1985 1st round pick Wendel Clark will play in the 2018 Long Pond Hockey Heritage Classic Jan 27 in Windsor. 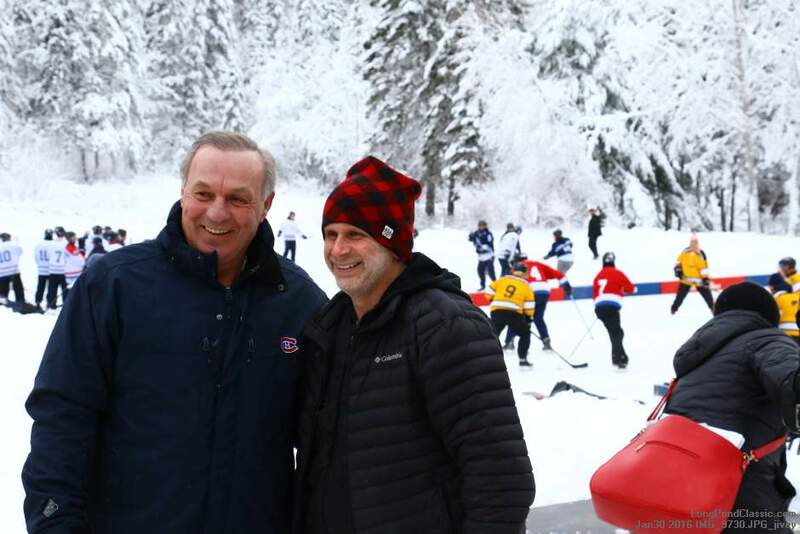 Clark has been named as a replacement after Bryan Trottier was informed within the past 48 hours by NHL Commissioner Gary Bettman that his presence would be much appreciated as one of the 100 greatest NHL players at this years NHL All Star Game in Tampa Florida. 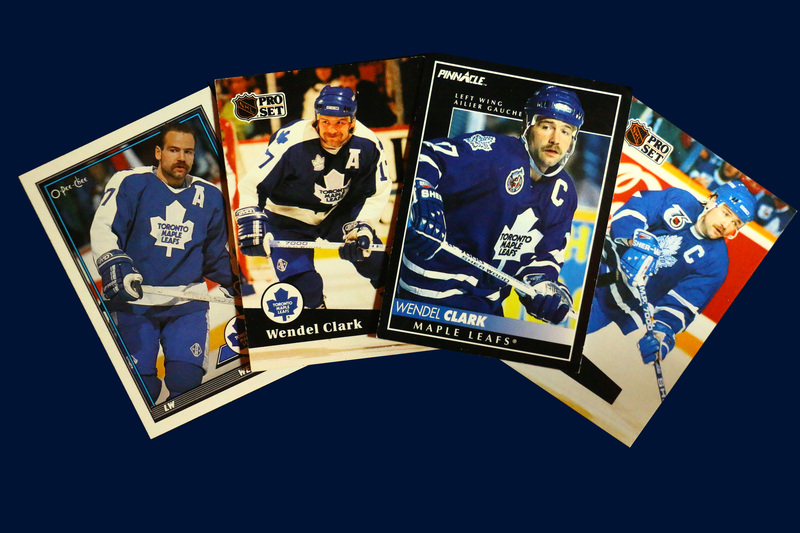 Clark who amassed 564 points on 330 goals and 234 assists in his 15 year NHL career was a true blue Toronto Maple Leaf and was named in February of last year along with Frank Mahovlich, Red Kelly and Charlie Conacher to the Leafs Legends Row. 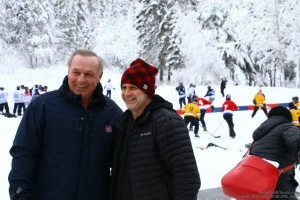 Clark is presently a Community Ambassador for the Toronto Maple Leafs while also working in the Leafs Public Relations Department. 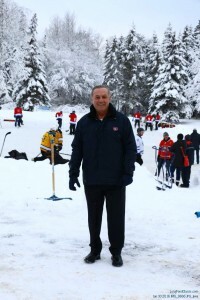 Clark is a Kelvington, Saskatchewan native and is remembered for so much in his NHL career including his 20 points in the 7 game Conference Championship with the Leafs when they were defeated by Wayne Gretzky and the Los Angeles Kings. 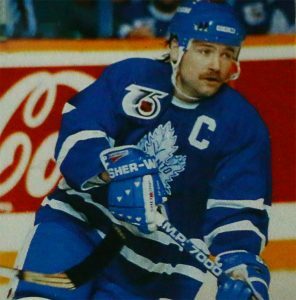 He went on from there to score 46 goals for the Leafs in the 1993-94 season before being traded to the Quebec Nordiques in June 1994 for Mats Sundin. 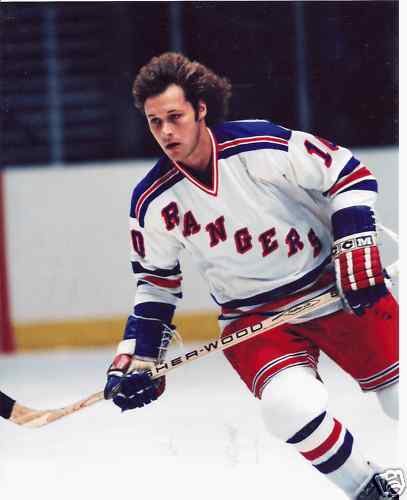 Clark will be joined by twelve-year NHL Veteran Ron Duguay named in recent years as one of the 100 greatest New York Rangers to ever play for the team. 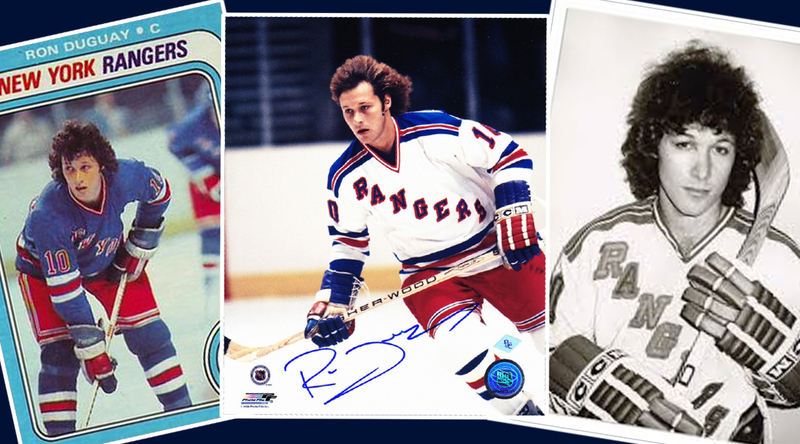 Duguay totalled 620 career points in twelve years in the NHL, scoring 274 goals while adding 31 additional markers in NHL playoff action. He currently is an in-studio analyst for the Madison Square Garden Radio network on all New York Ranger television broadcasts. 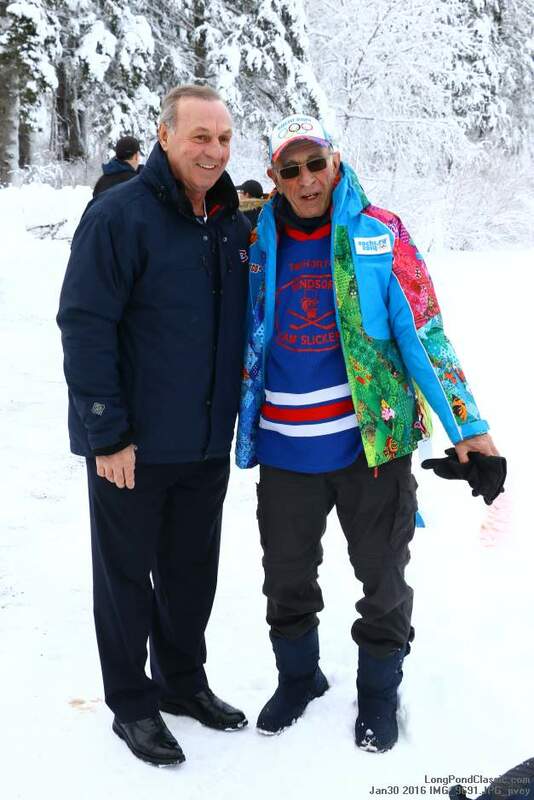 Clark and Duguay will then attend the annual Windsor Hockey Heritage Banquet at Kings-Edgehill in the evening. 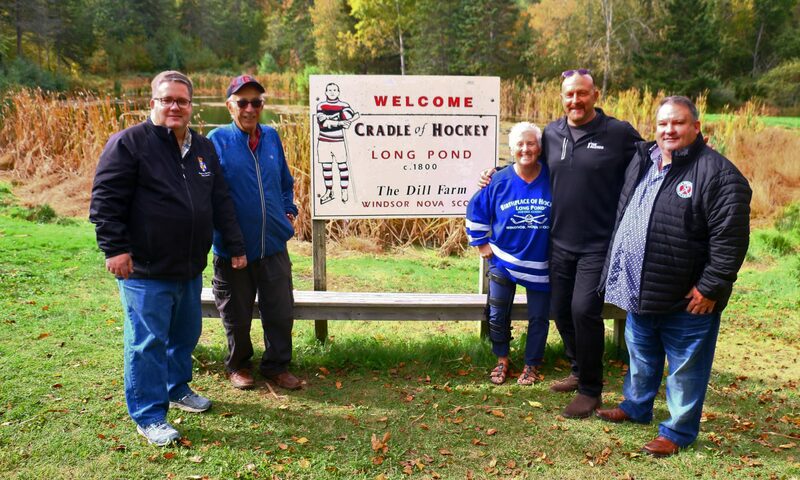 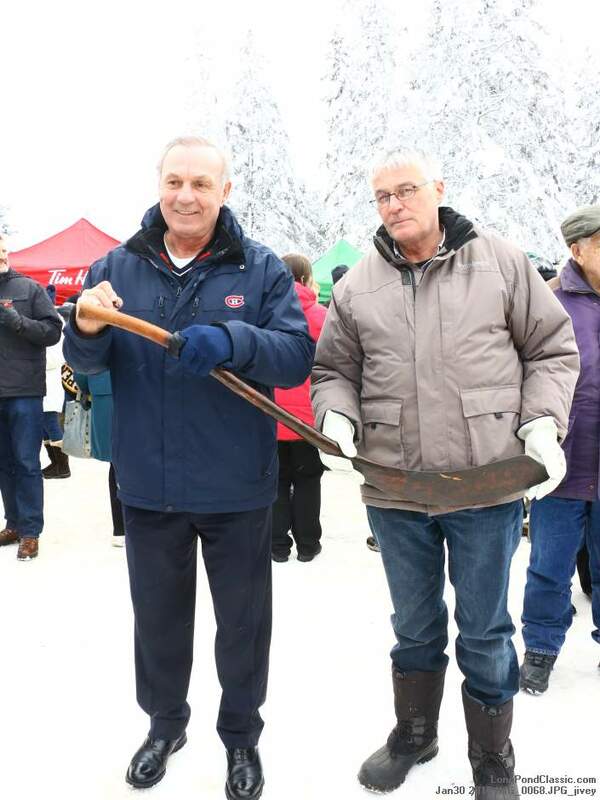 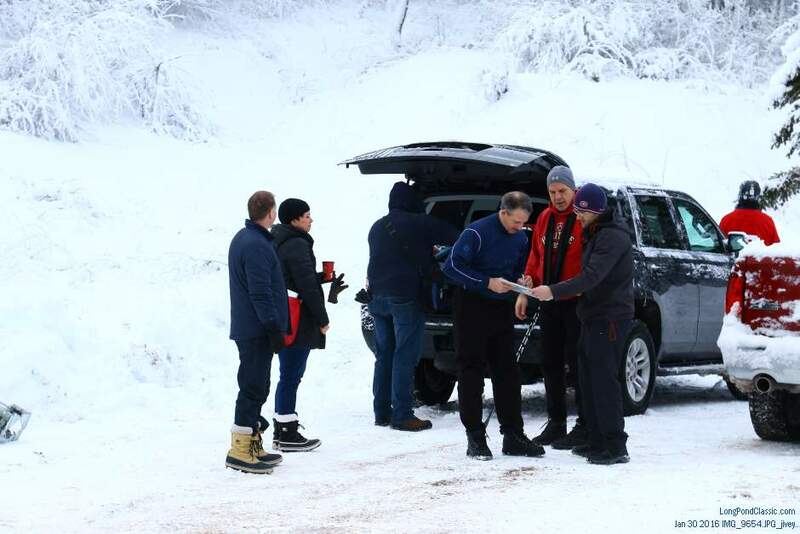 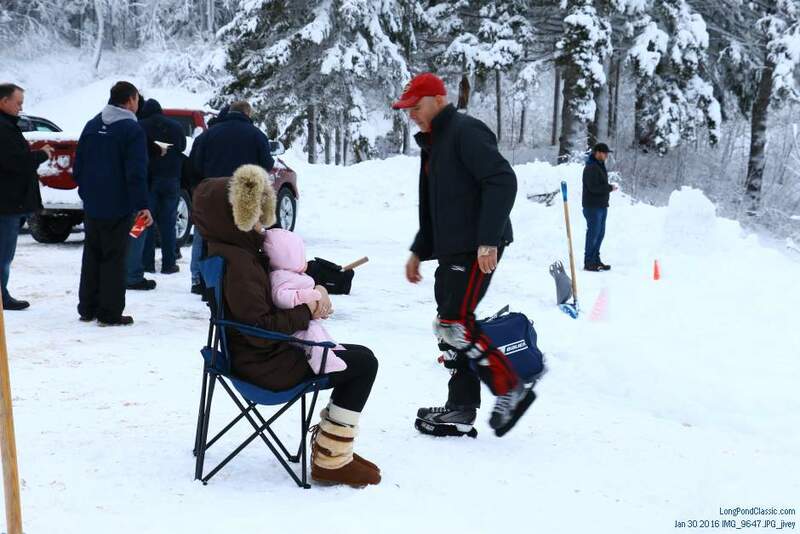 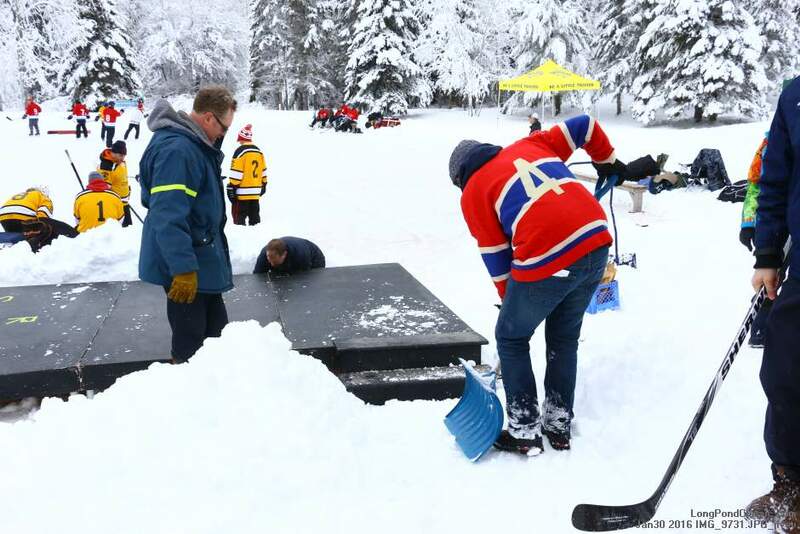 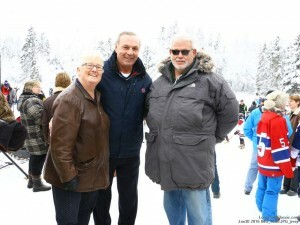 All proceeds from the event assist the Society in the operation of the Windsor Hockey Heritage Museum which has attracted nearly 4175 visitors from across the world over the past two years. 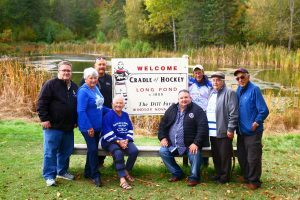 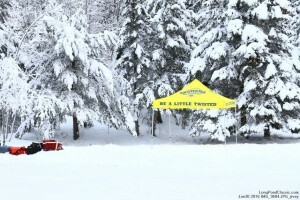 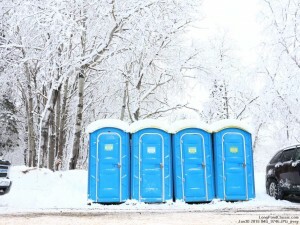 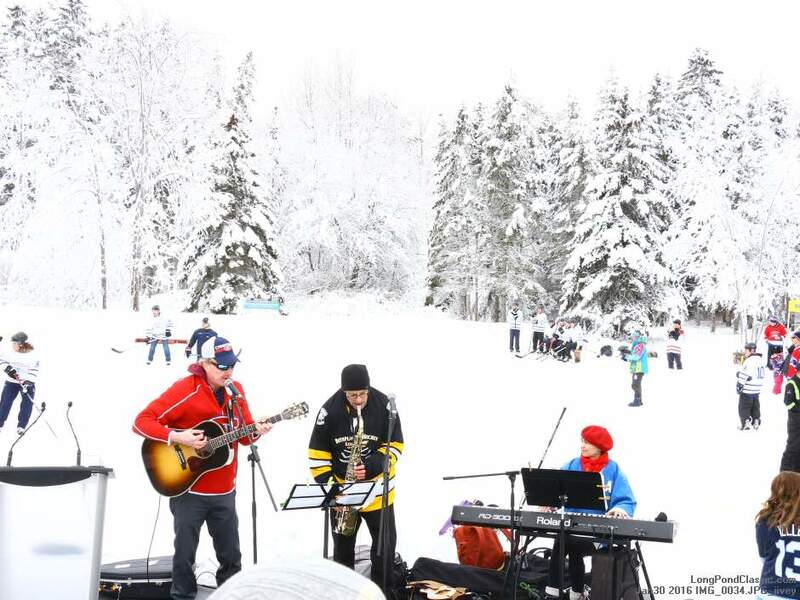 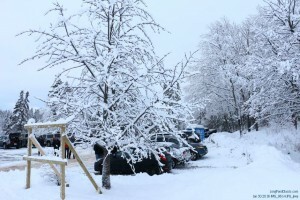 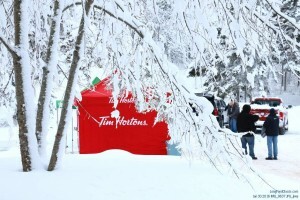 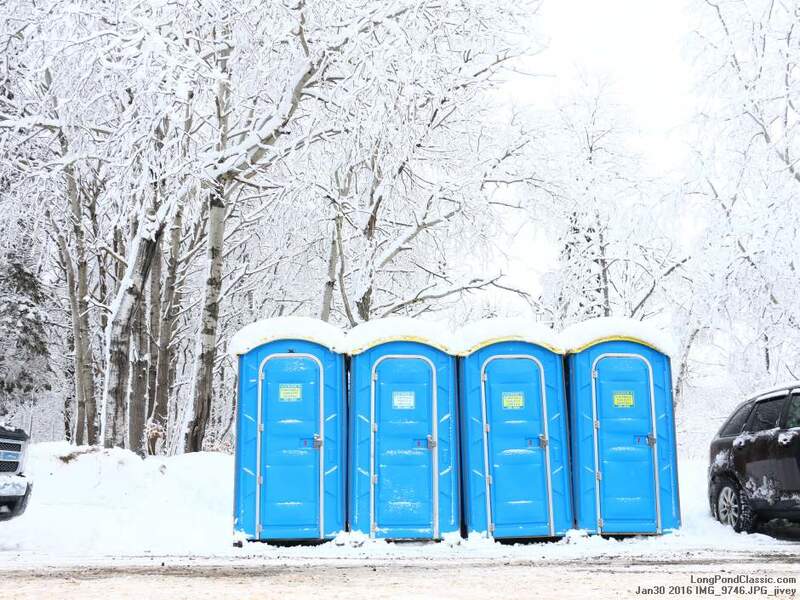 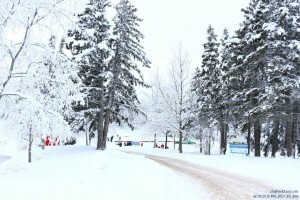 A Seat at the Long Pond Classic Banquet – Just the Ticket this Christmas! 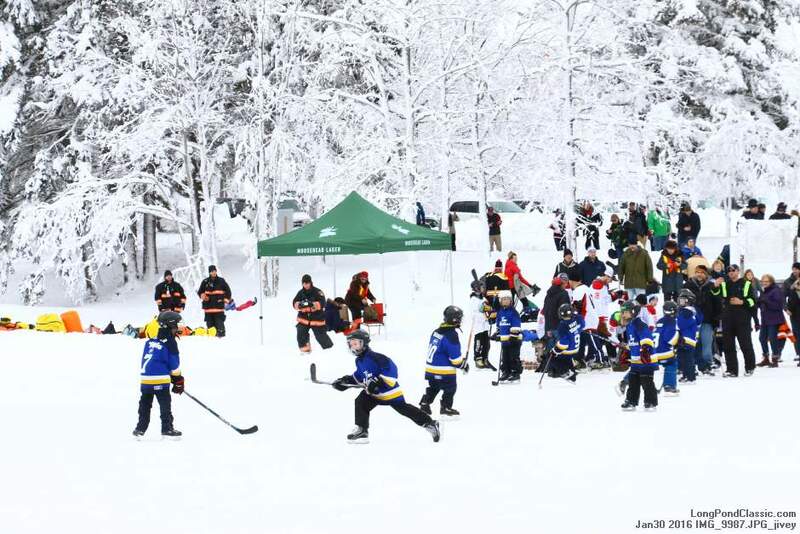 With one day before the 2017 Long Pond Classic the organizing committee for this year’s Long Pond Heritage Hockey Classic has announced a substitution. 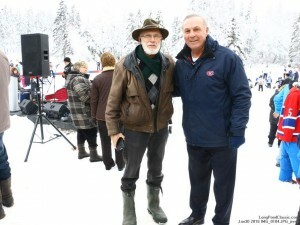 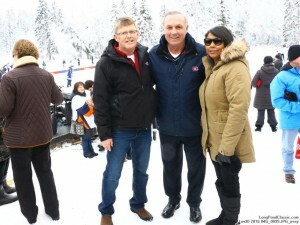 He went on to announce ” We are very pleased to announce that Stephane Richer will be added to the lineup. 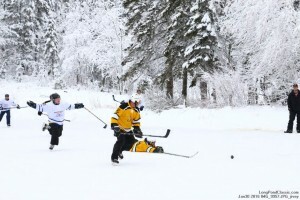 Stephane is a a 2-year 50+ goal scorer and we expect great things from him at this year’s event. 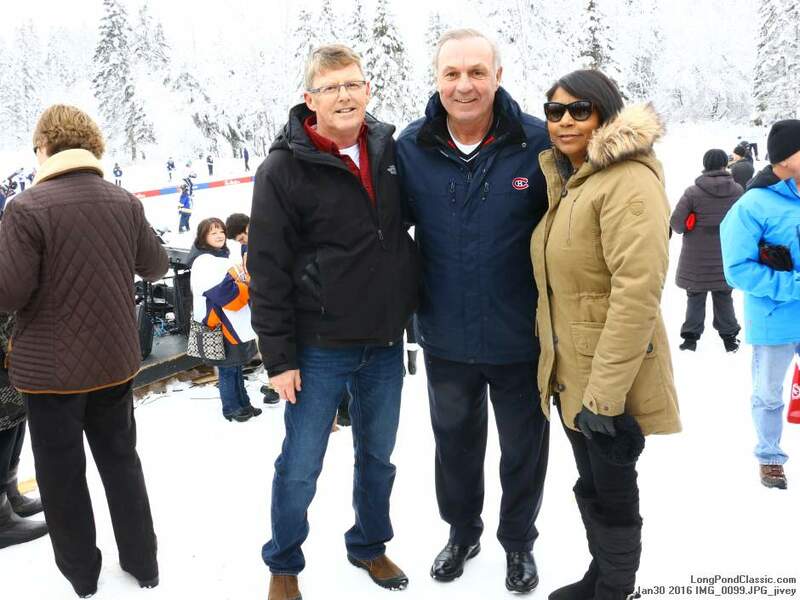 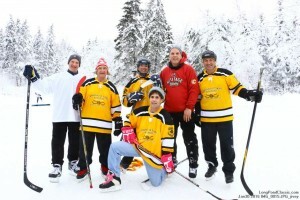 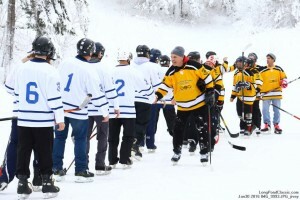 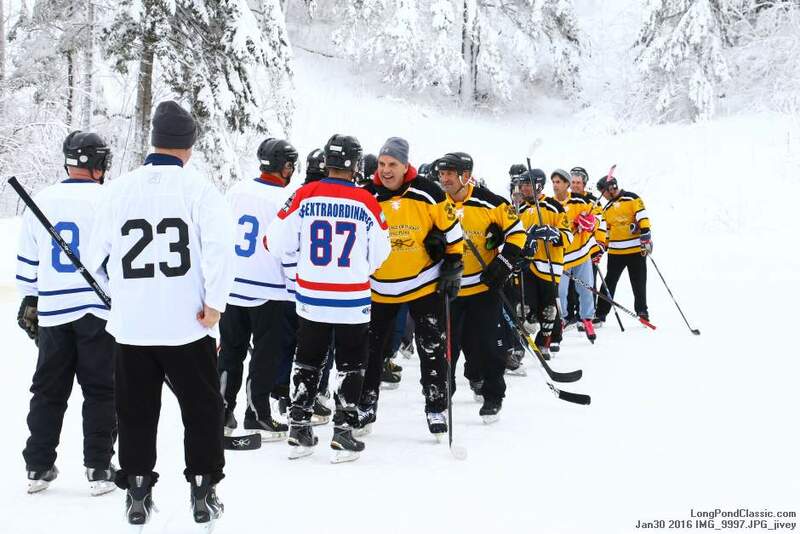 This year’s event is hosting Ray Bourque (captain of the Boston Bruins for 18 years), Stephane Richer and Joe DiPenta. 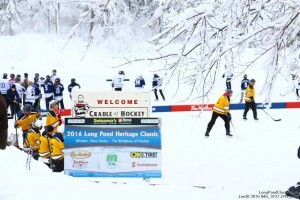 This year’s classic is being held on January 21st 2017 on Long Pond the Cradle of Hockey in Windsor NS the Birthplace of Hockey. 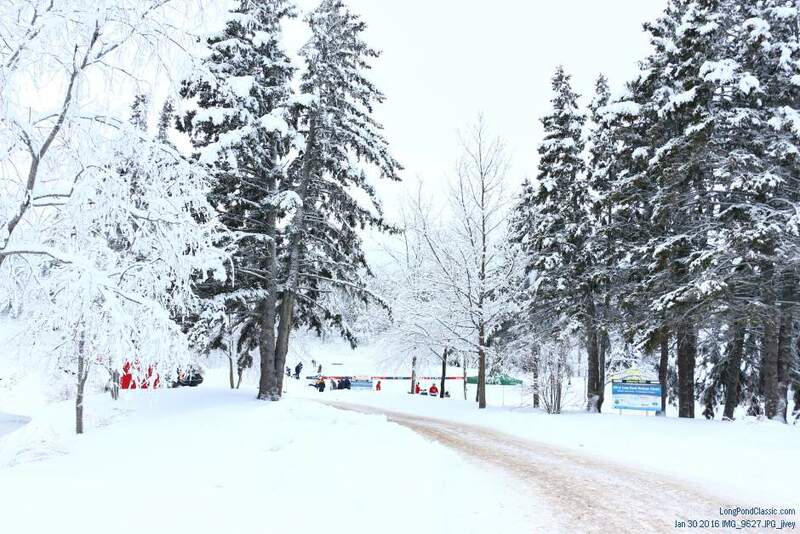 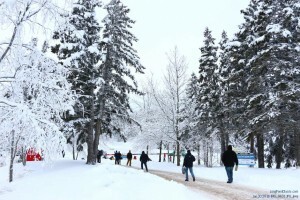 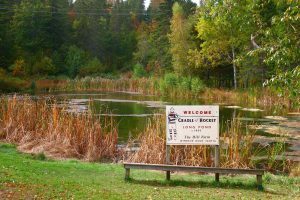 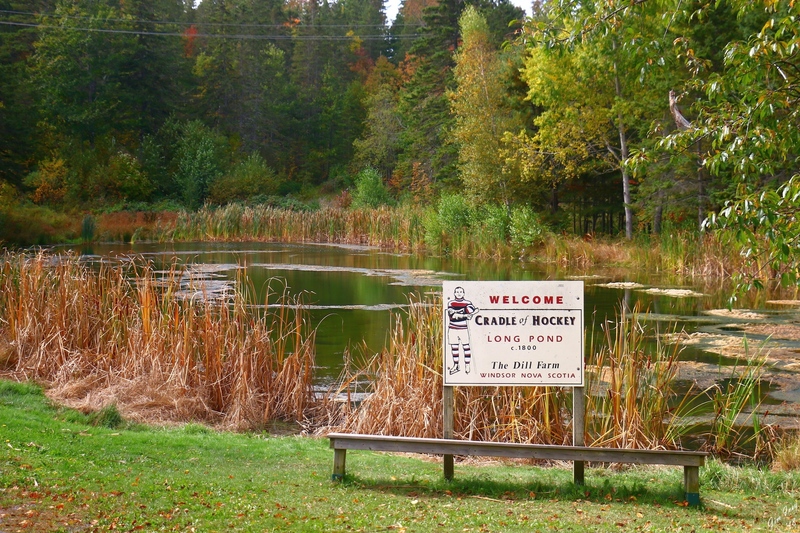 Long Pond is heralded as being home to the original pond on which the boys from King’s College School originally played ‘hurley on the long pond on the ice’ circa 1800. 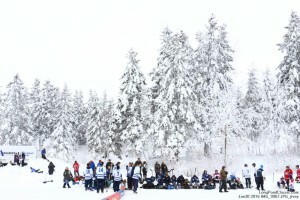 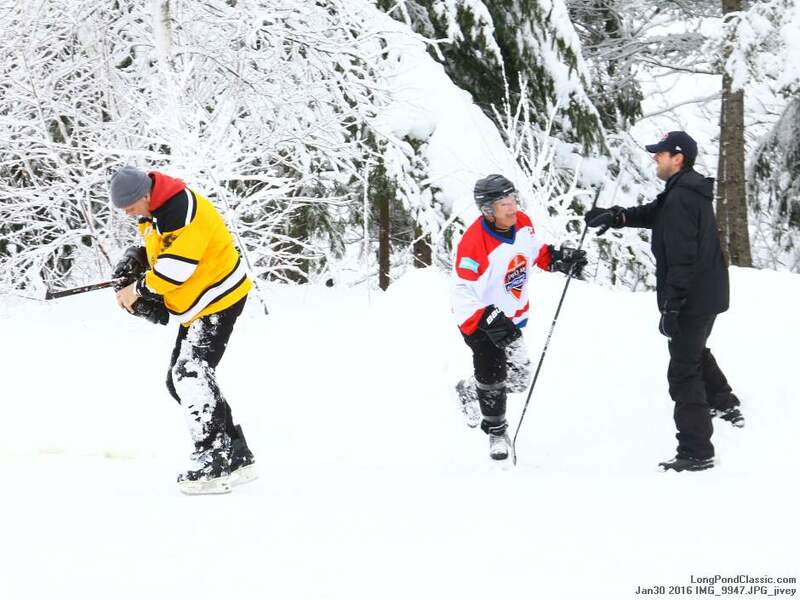 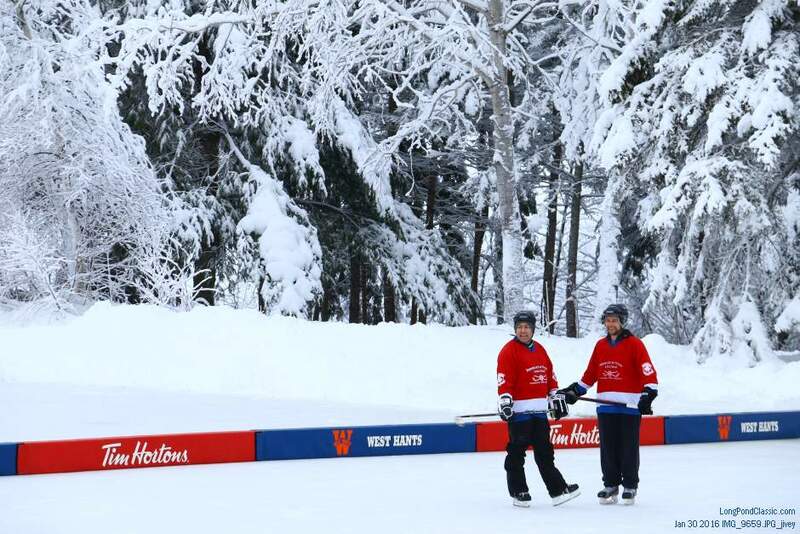 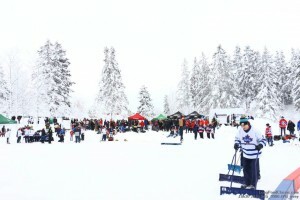 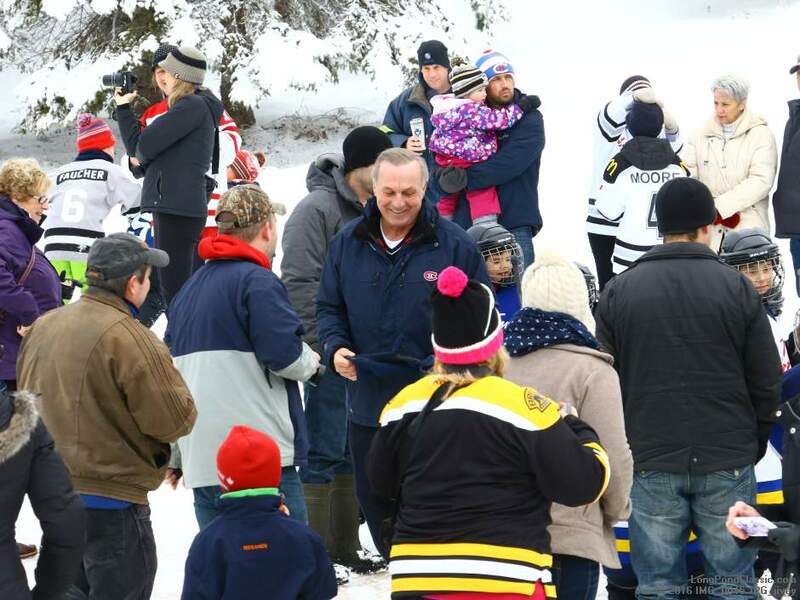 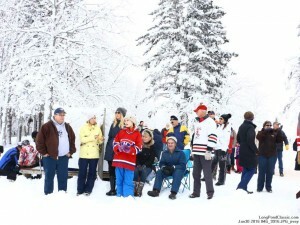 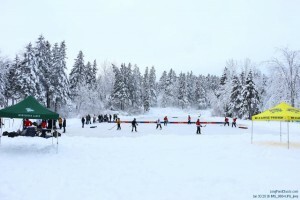 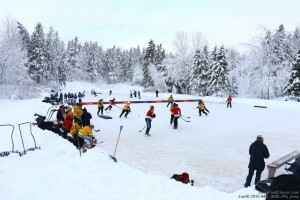 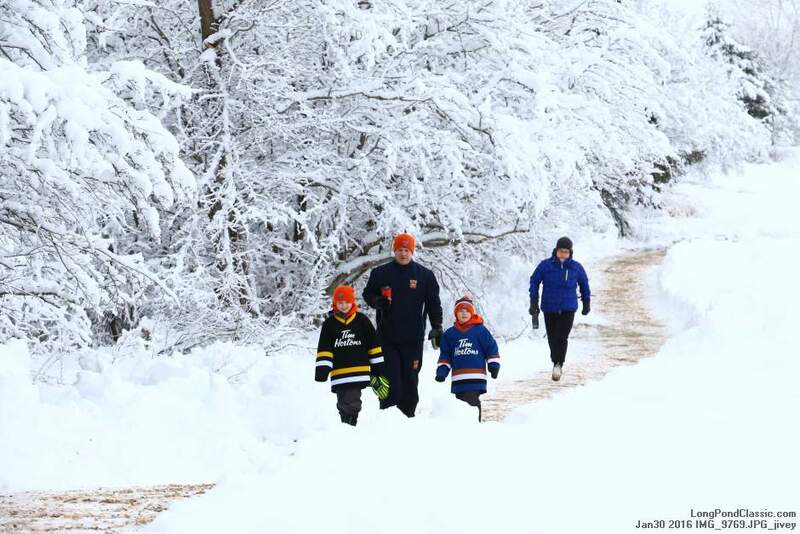 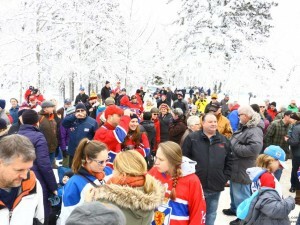 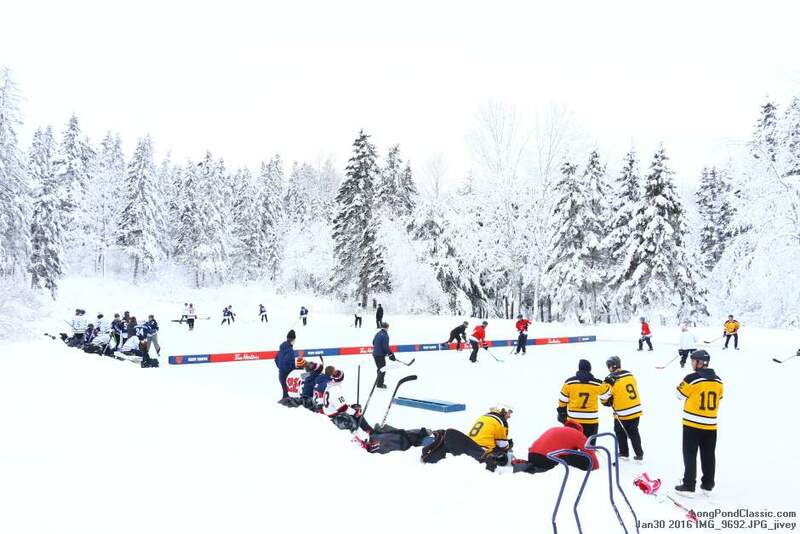 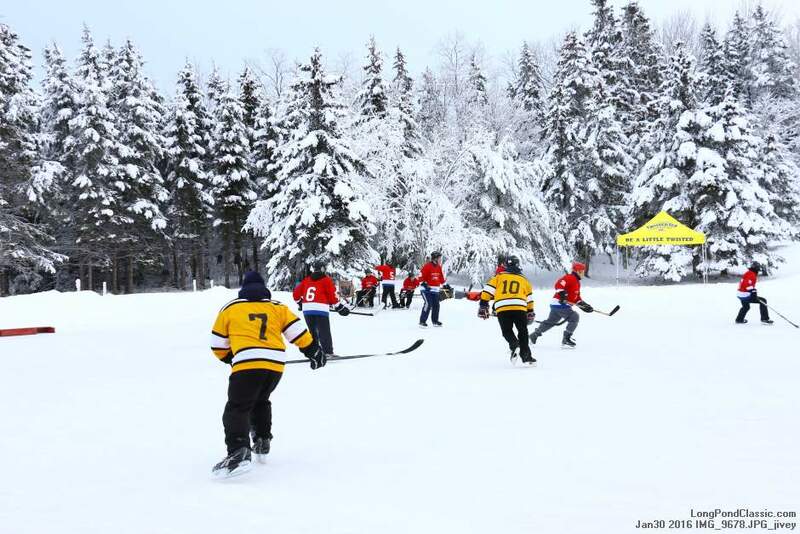 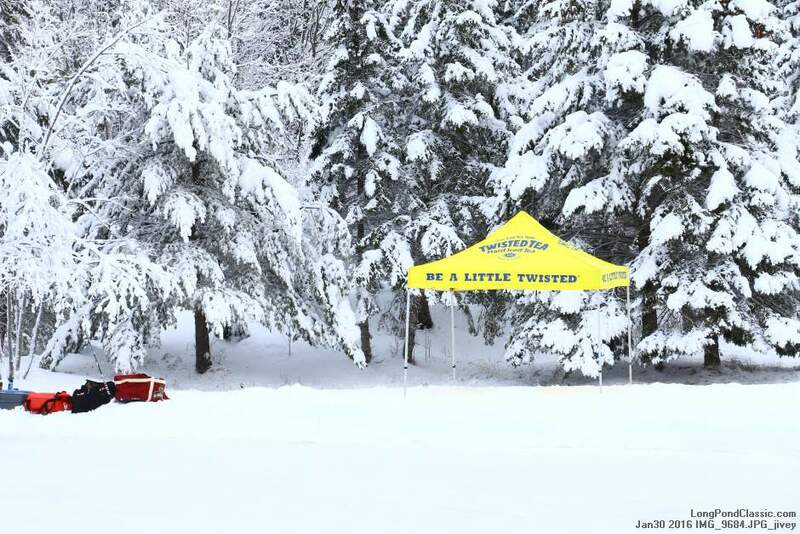 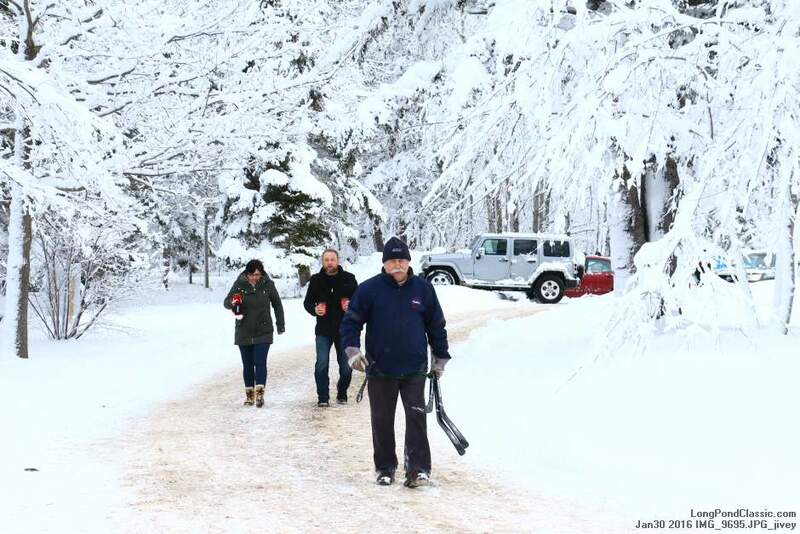 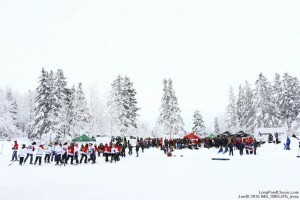 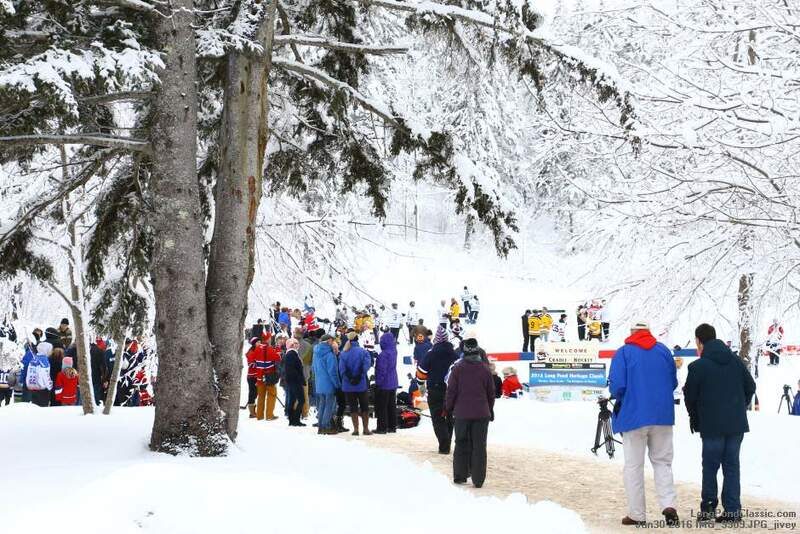 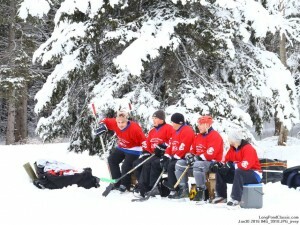 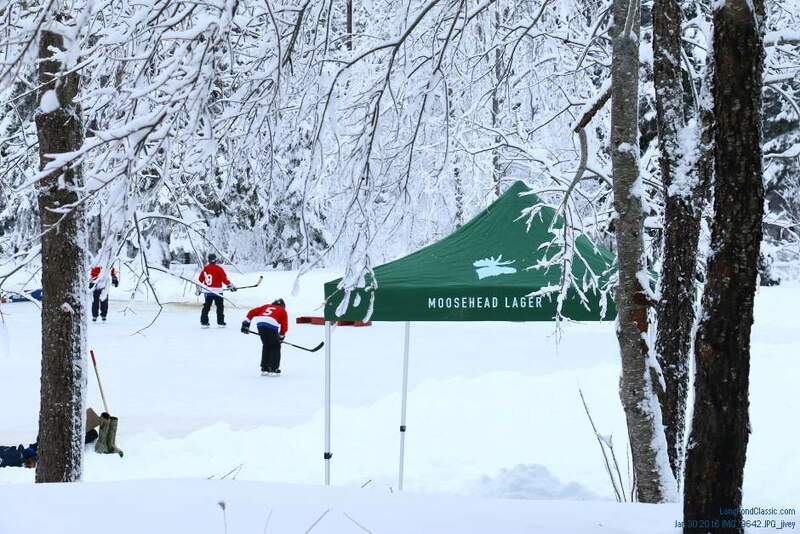 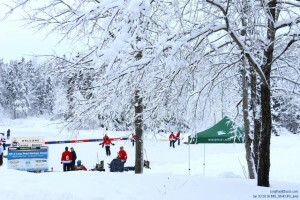 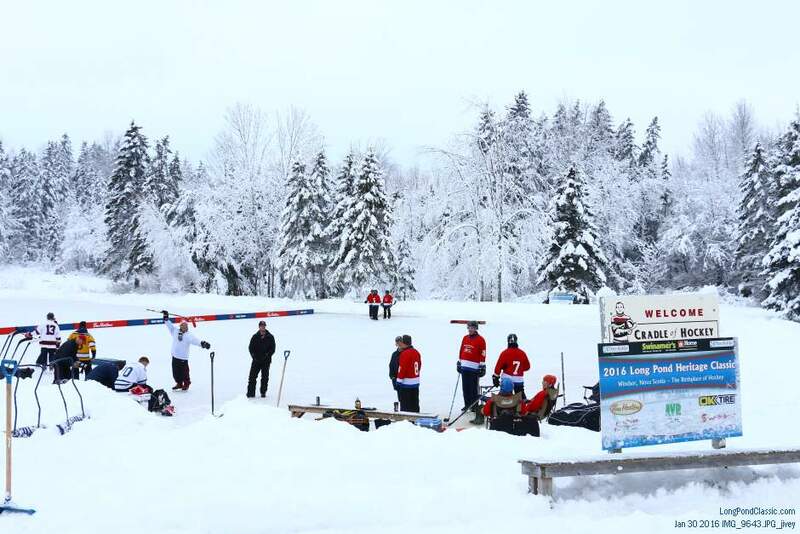 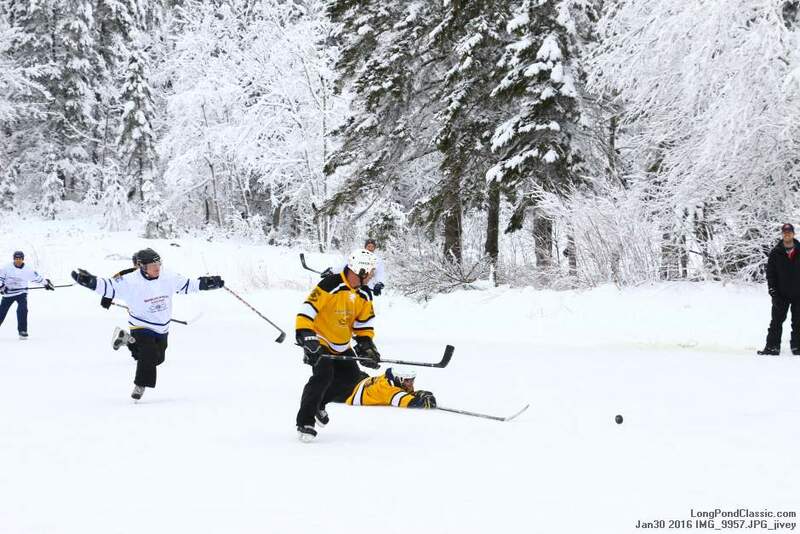 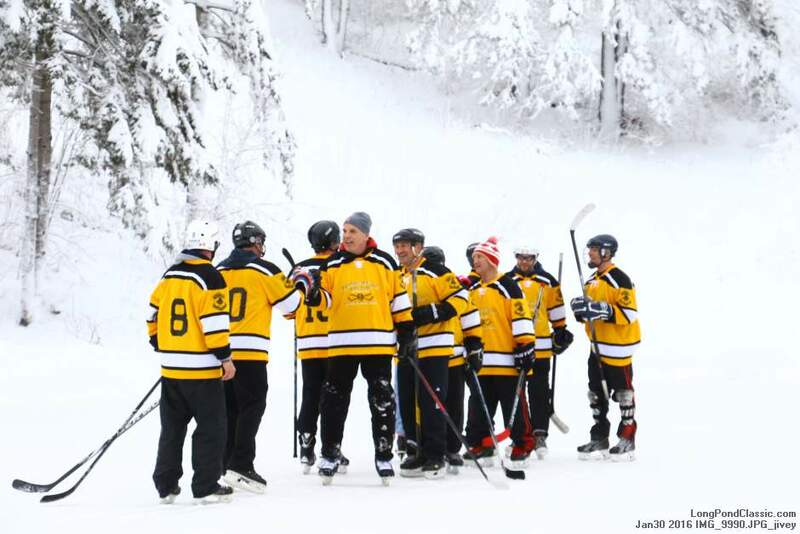 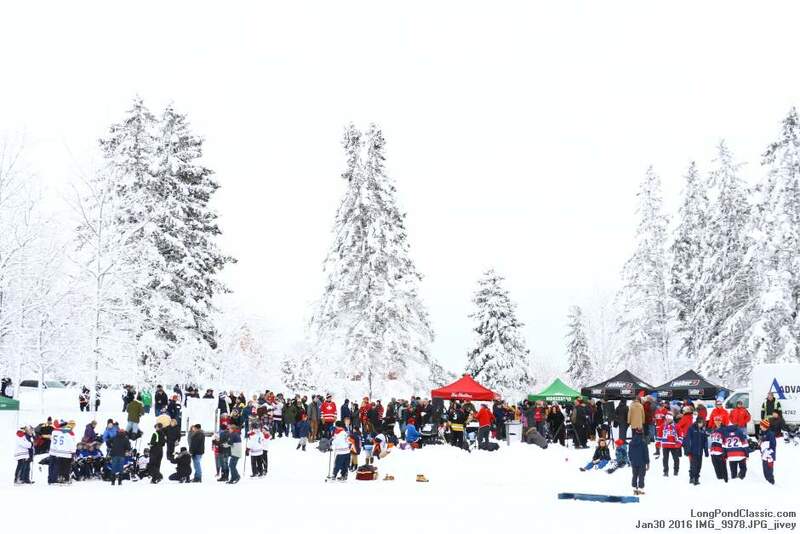 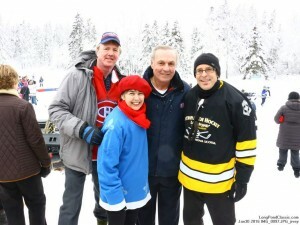 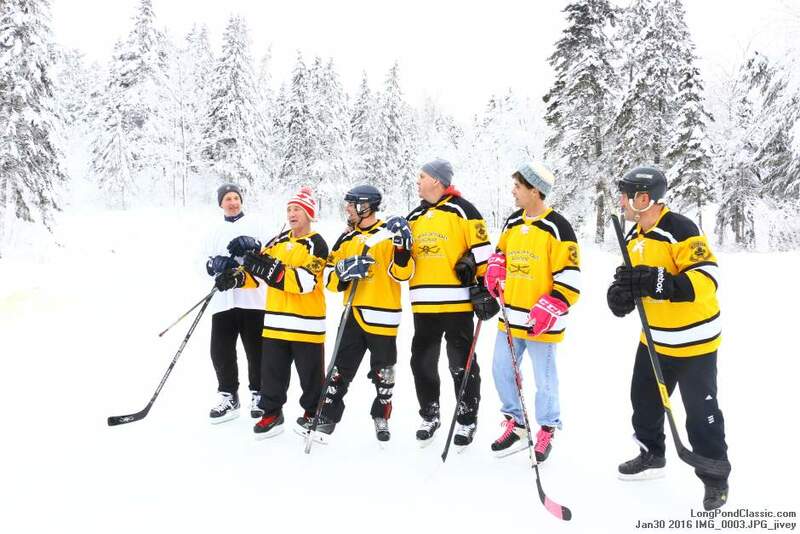 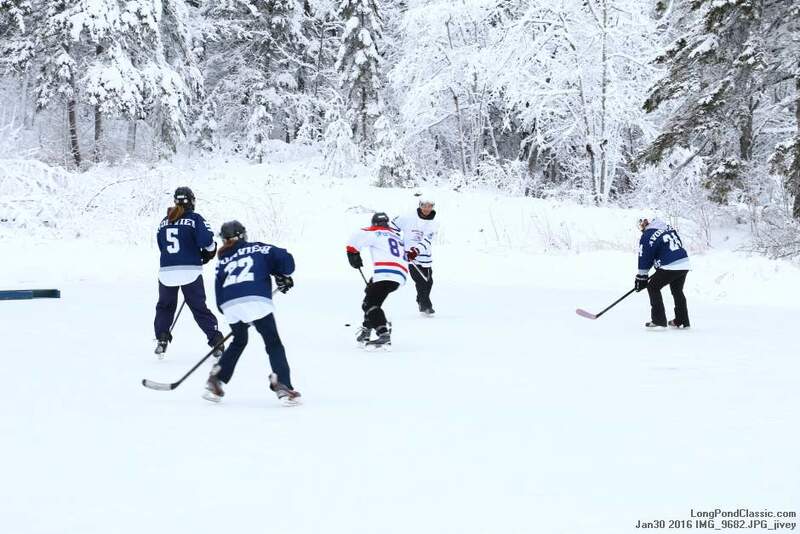 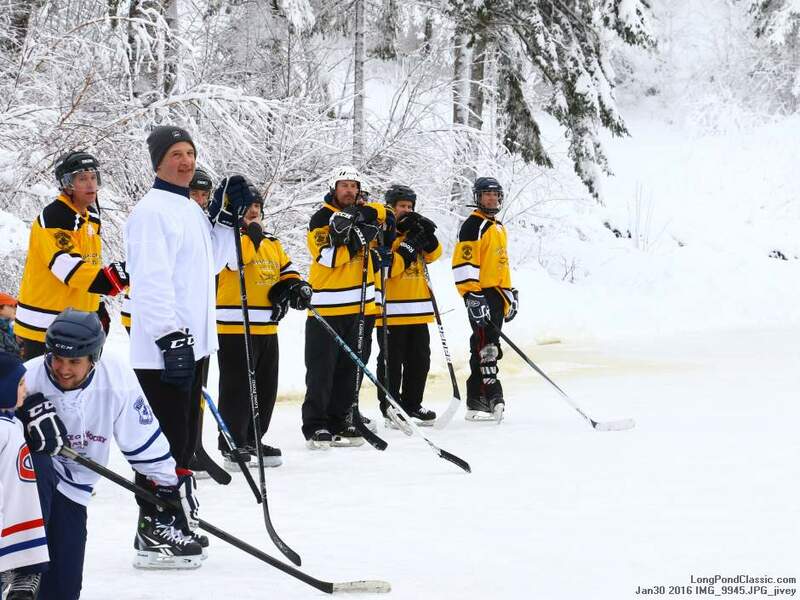 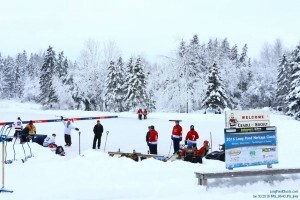 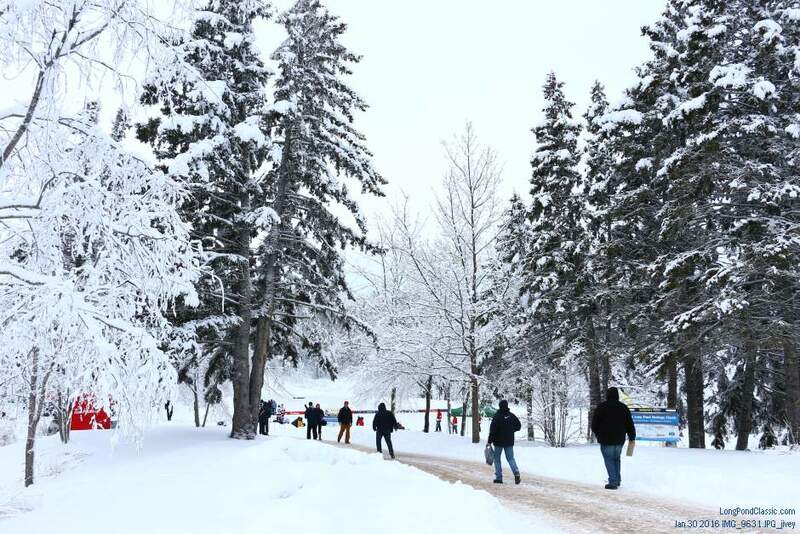 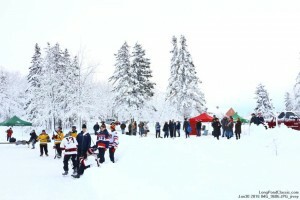 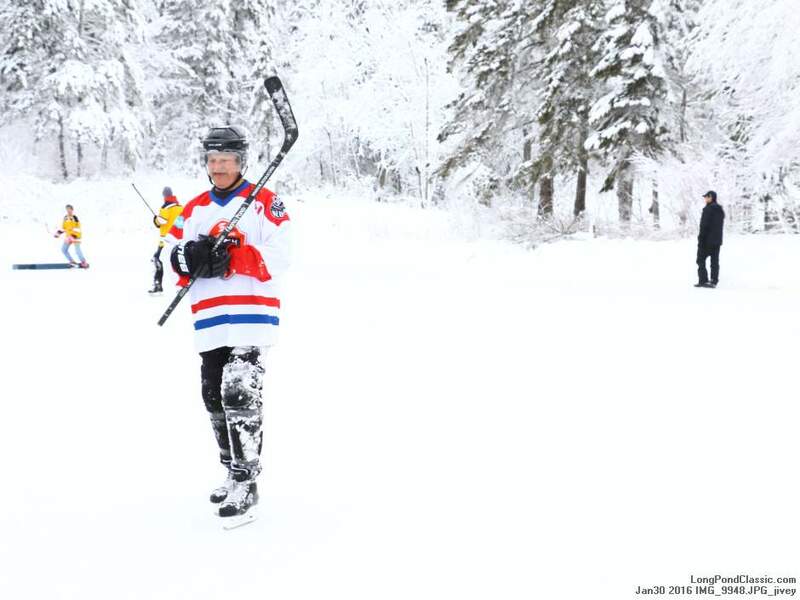 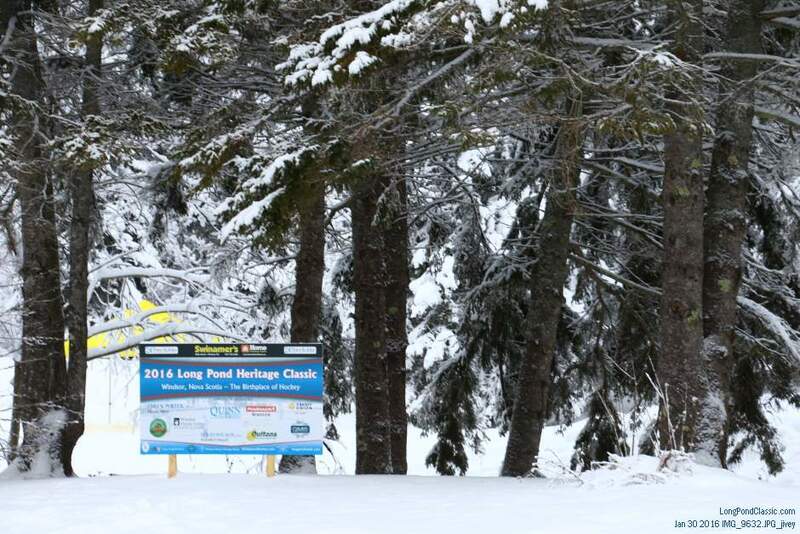 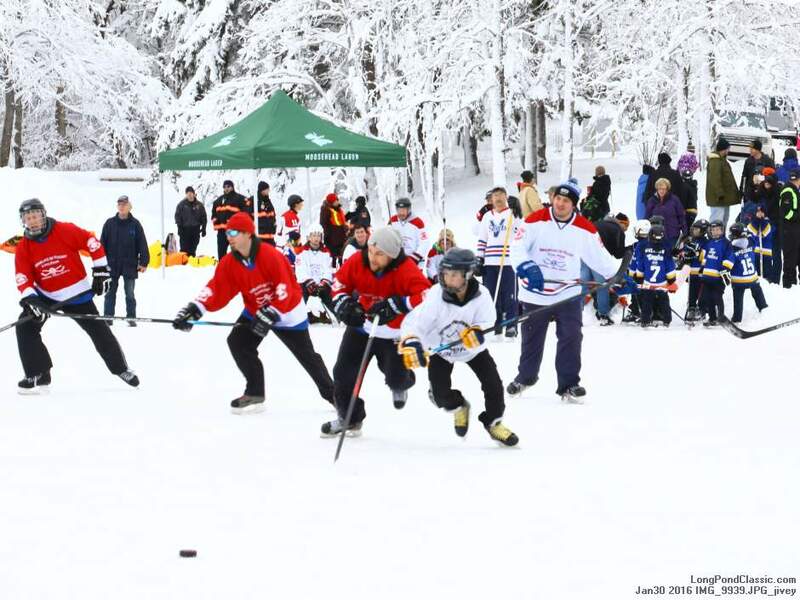 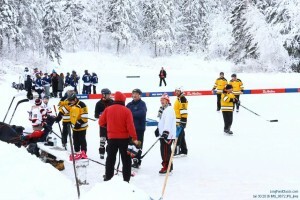 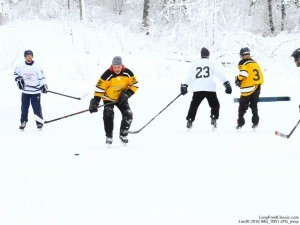 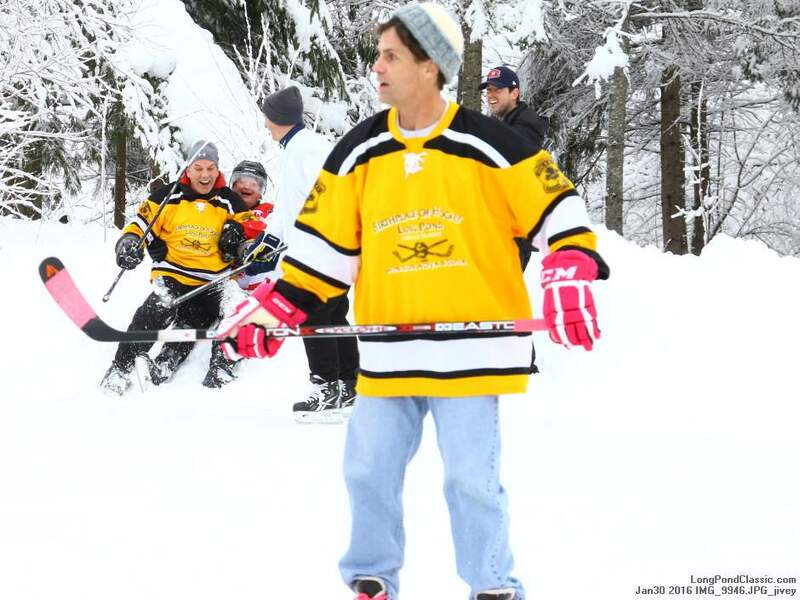 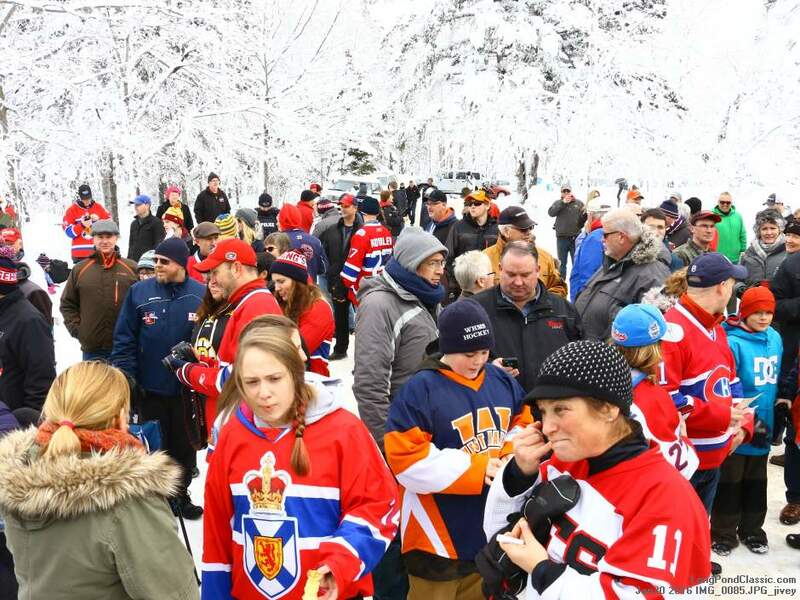 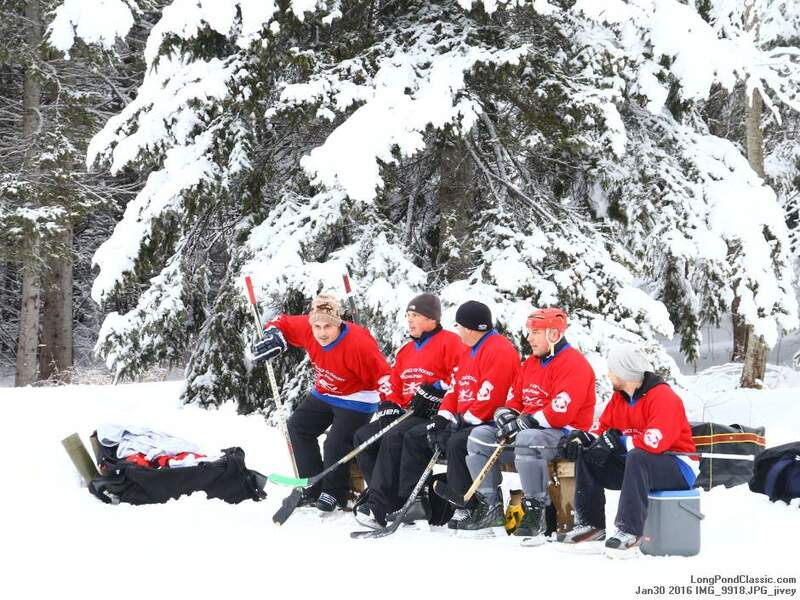 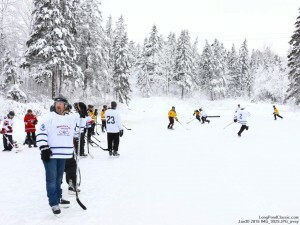 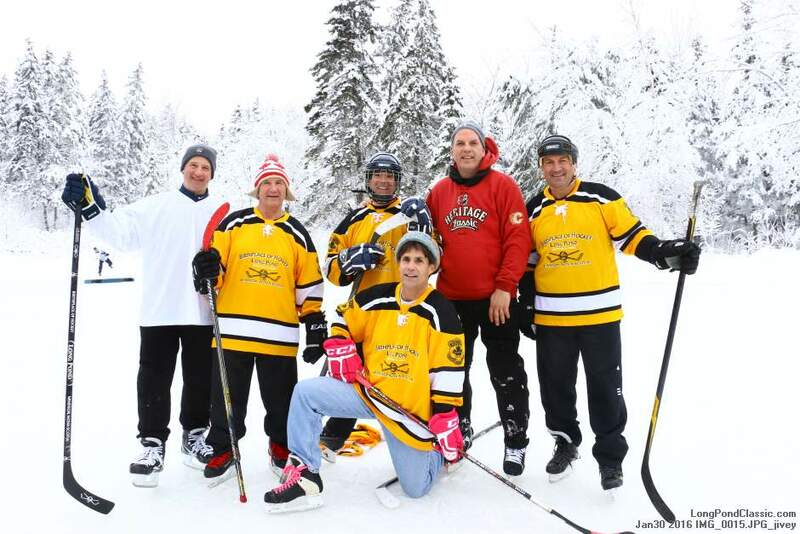 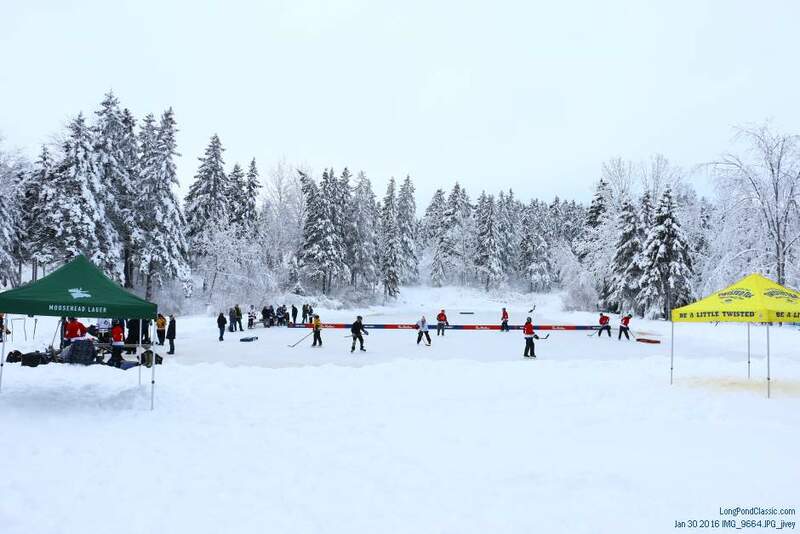 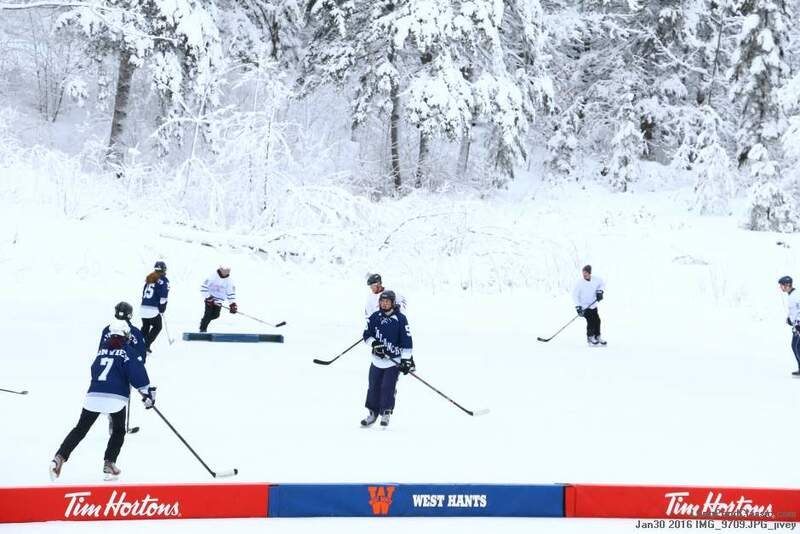 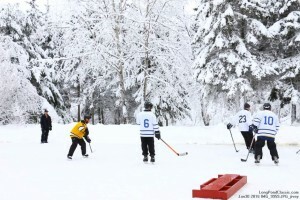 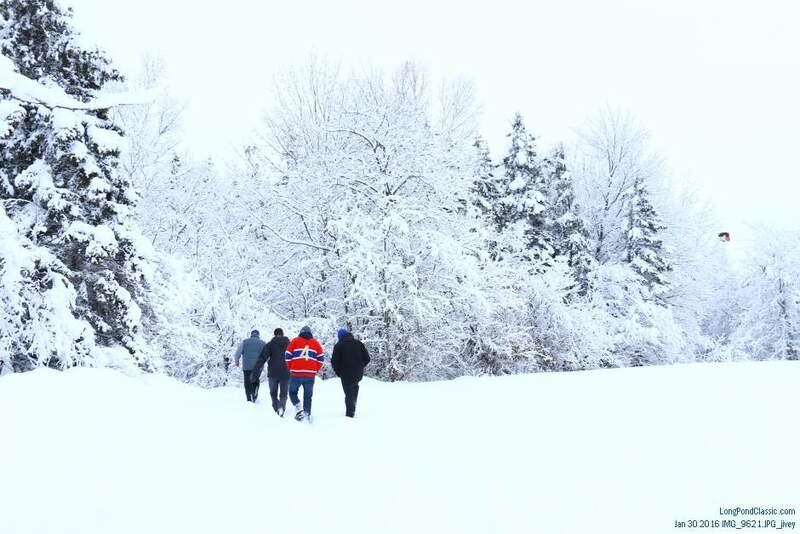 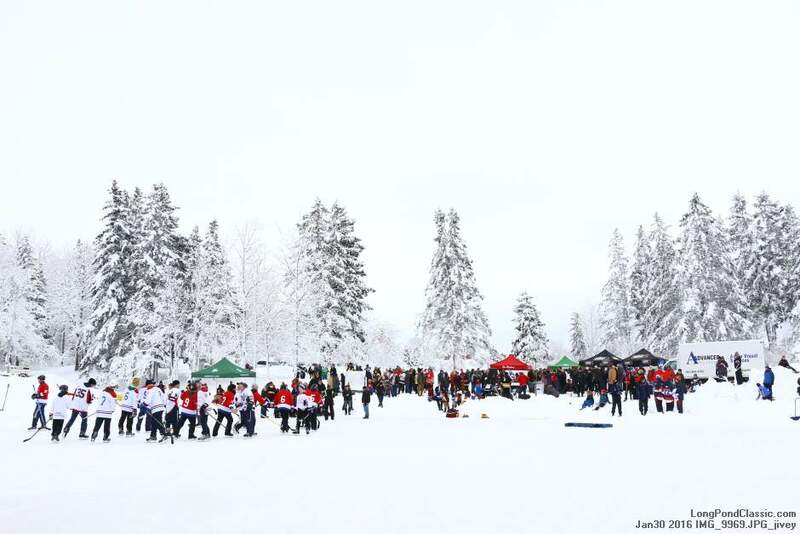 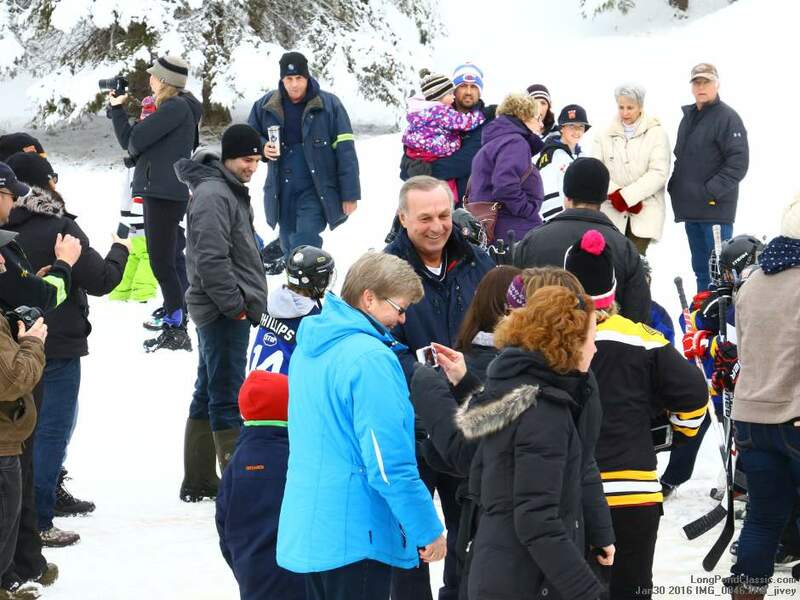 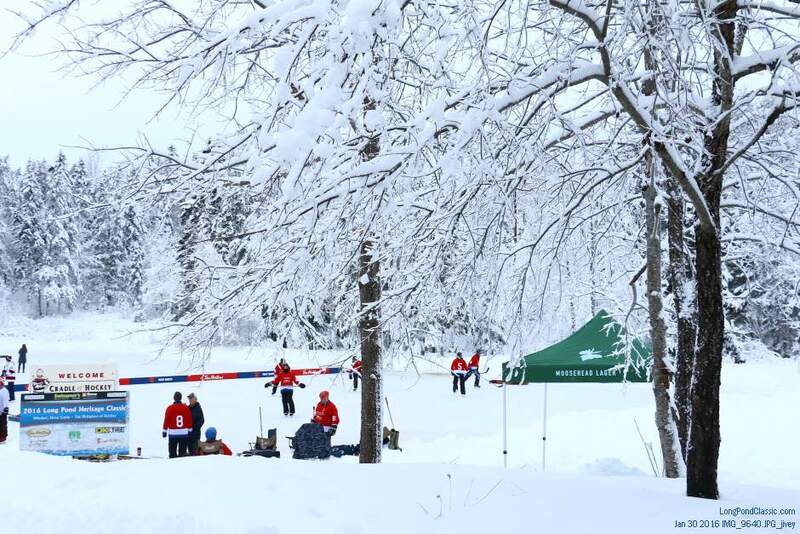 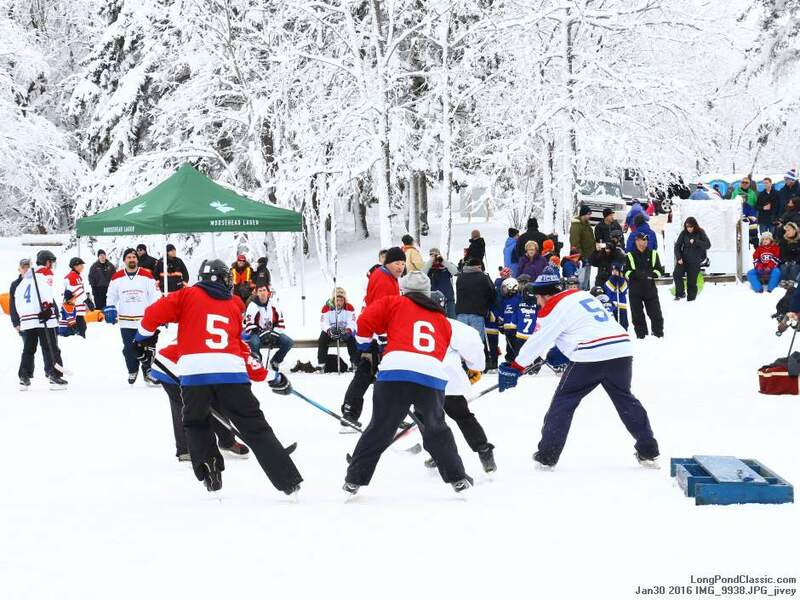 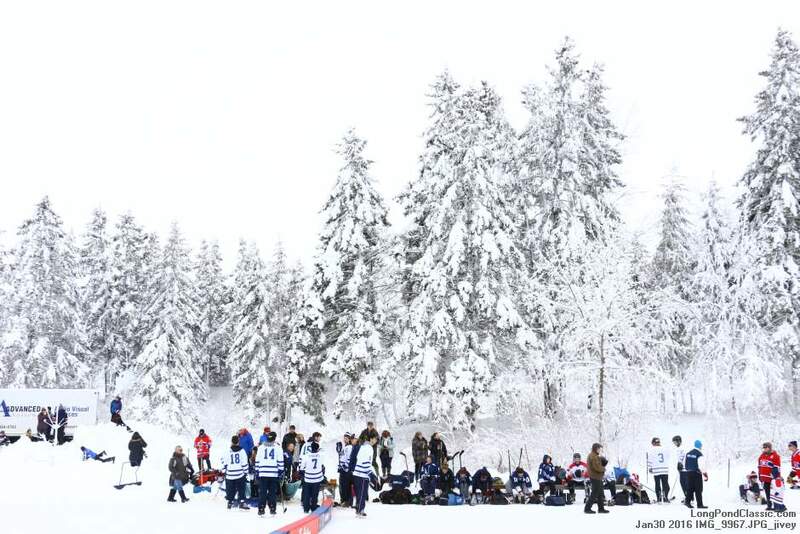 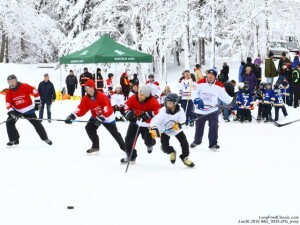 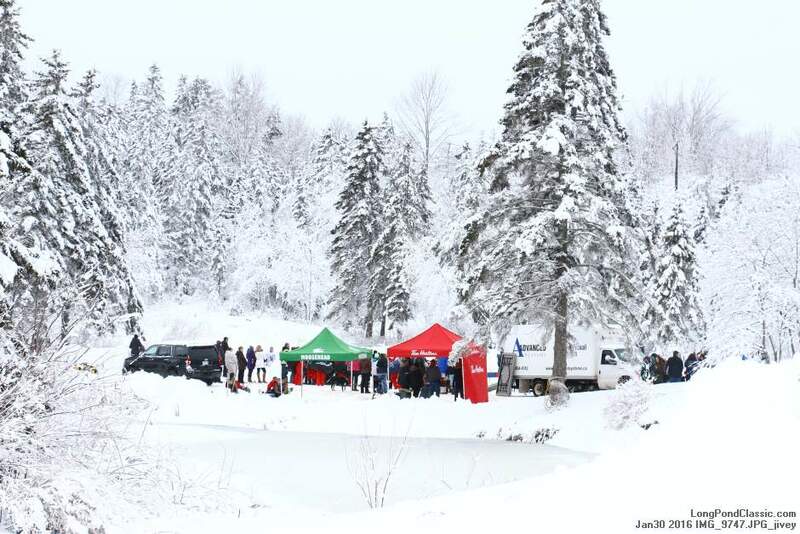 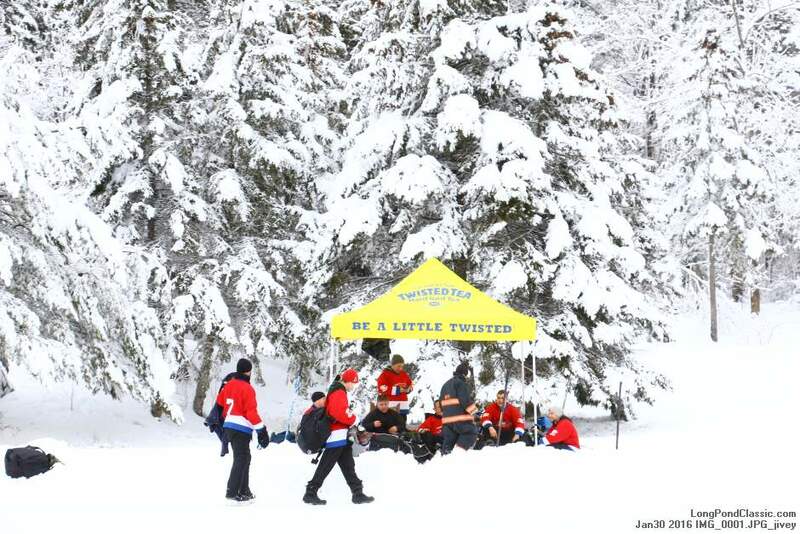 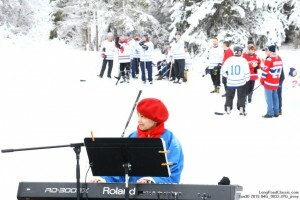 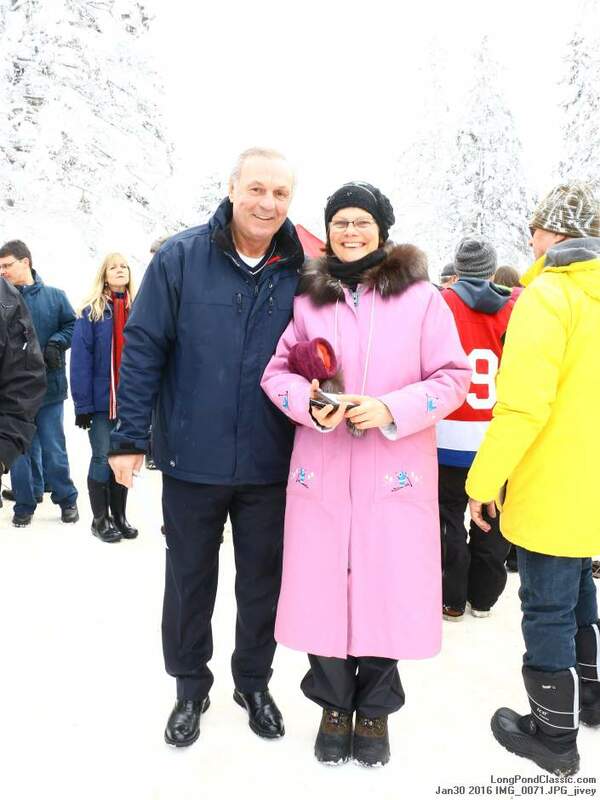 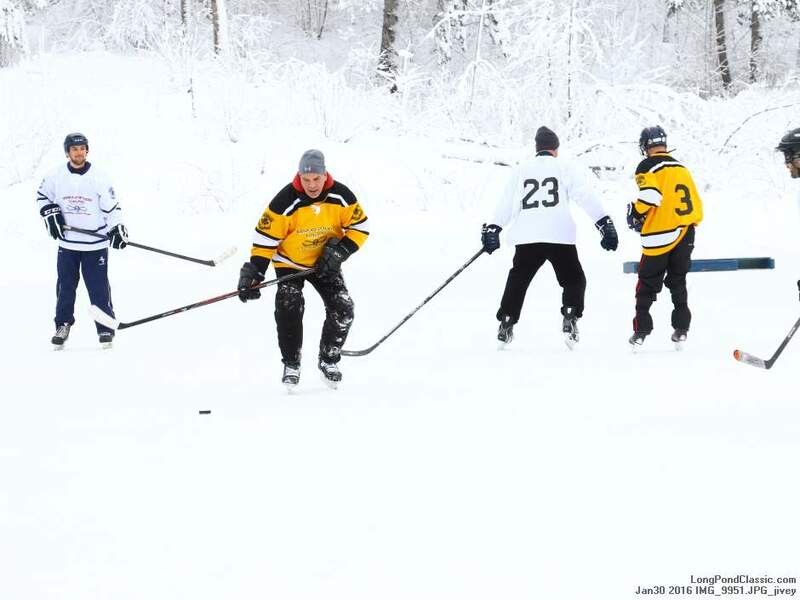 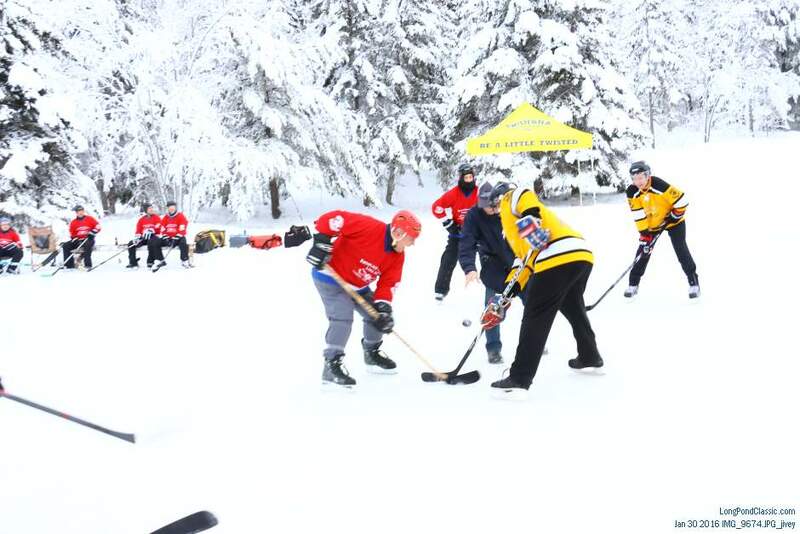 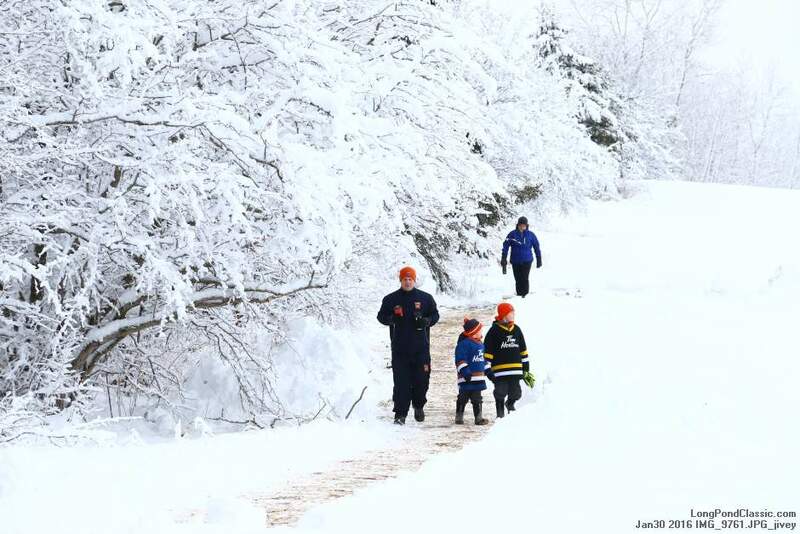 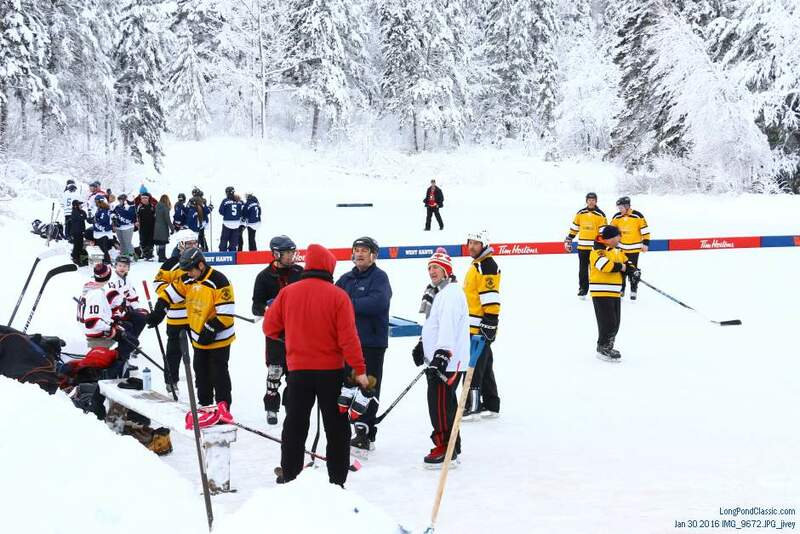 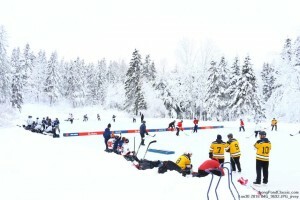 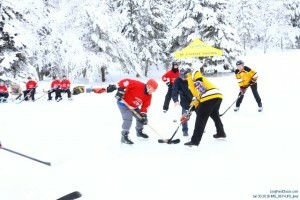 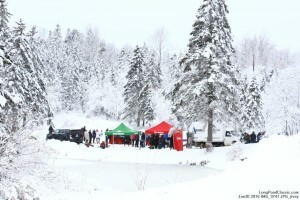 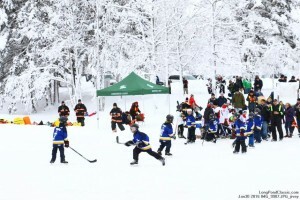 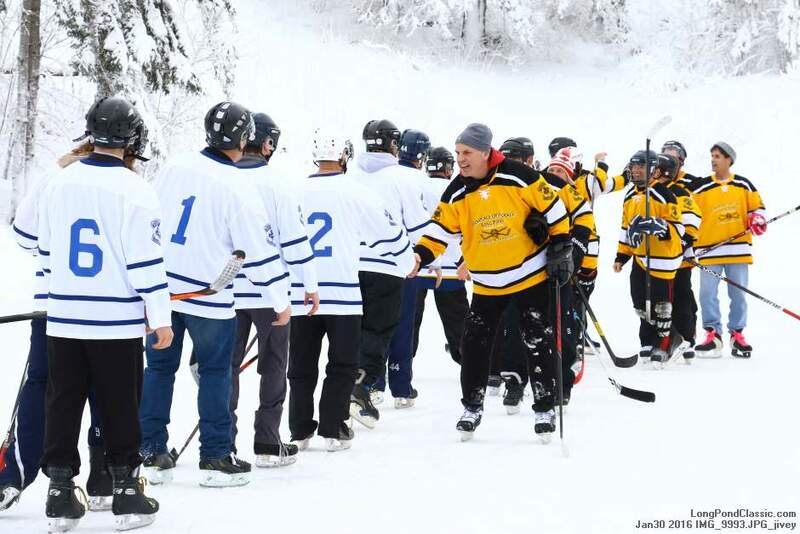 This year marks the sixth annual Long Pond Classic. The event began in 2011 as a fund-raising initiative to assist in the promotion of the Windsor Hockey Heritage society and the proud hockey history of Windsor NS in the development of the game. 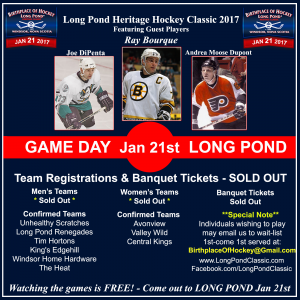 Long Pond 2017 Sold Out! 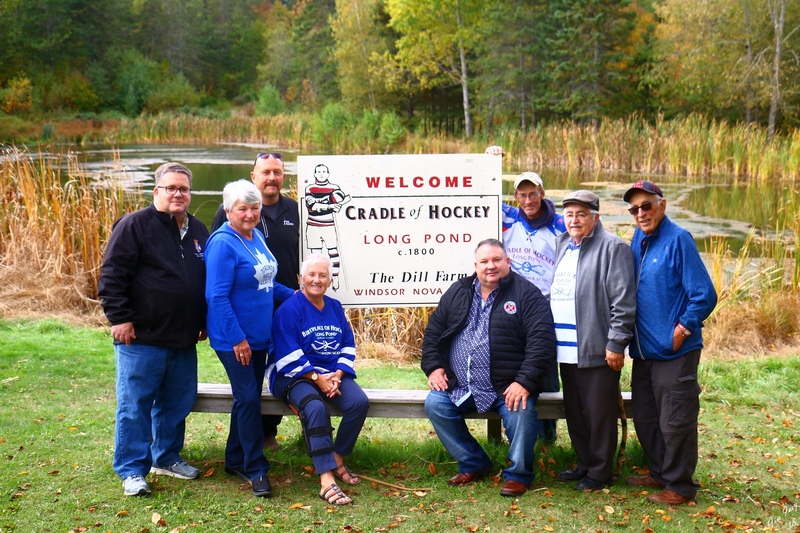 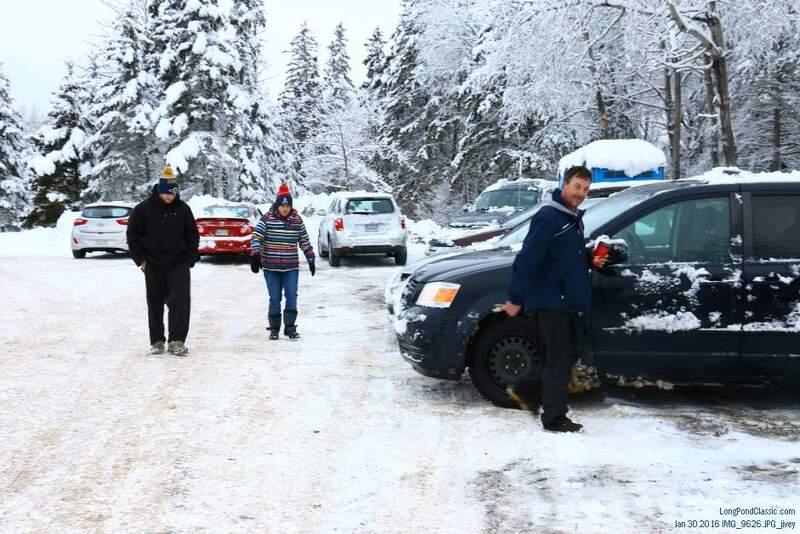 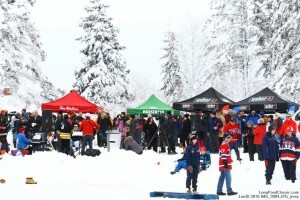 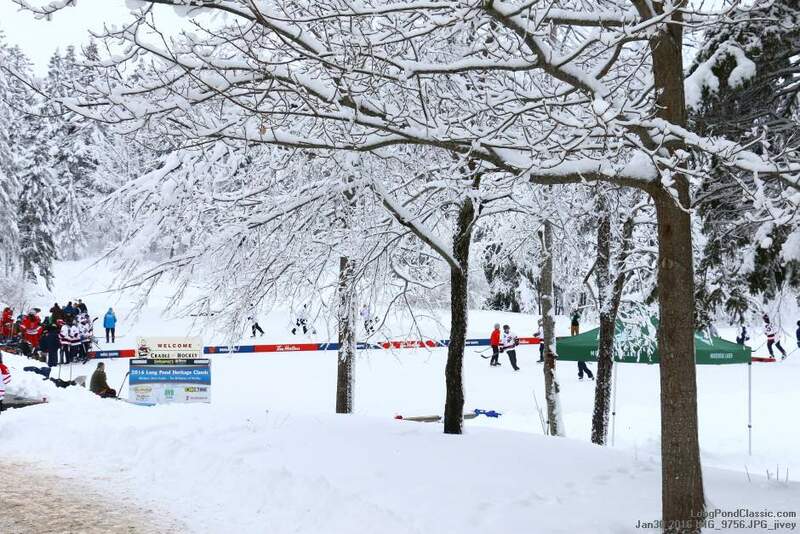 The organizing committee for this year’s Long Pond Heritage Hockey Classic has announced that this year’s event is sold out. 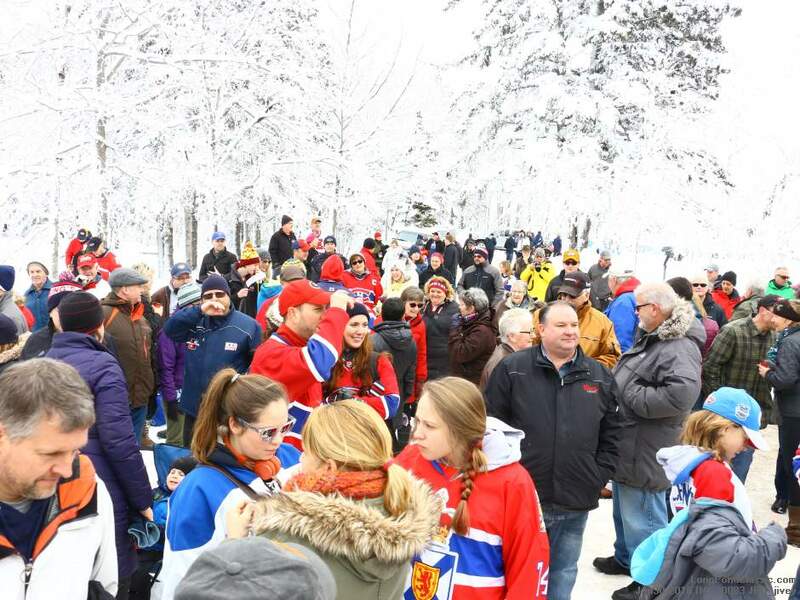 Team registrations for both the men and the women are fully subscribed as well as tickets to the banquet. 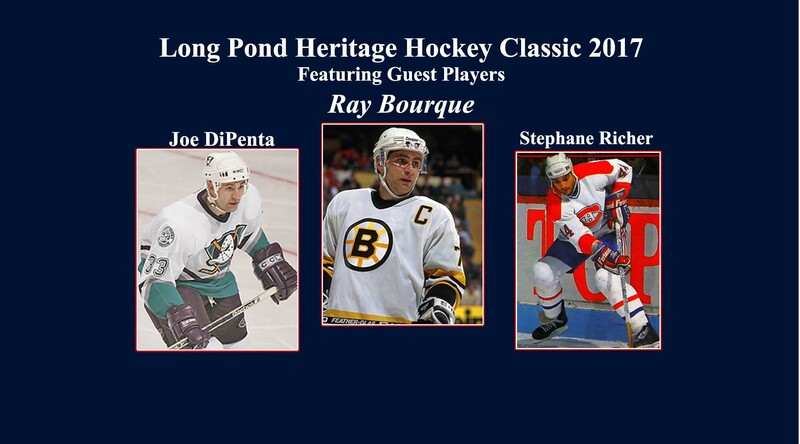 This year’s event is hosting Ray Bourque (captain of the Boston Bruins for 18 years), Andre Moose Dupont and Joe DiPenta. 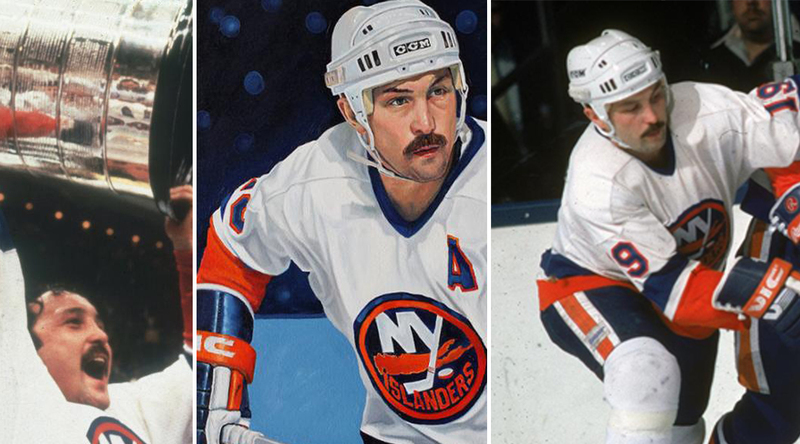 All three former NHL players were successful in securing Stanly Cups and rings. 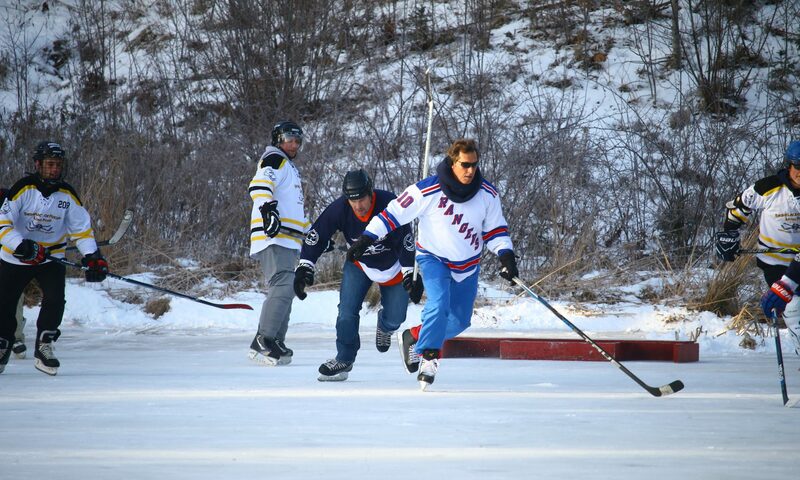 Respectively they played for the Colorado Avalanche, Philadelphia Flyers and the Anaheim Might Ducks. André “Moose” Dupont is a former professional ice hockey defenceman who played 13 seasons in the National Hockey League (NHL) with the New York Rangers, St. Louis Blues, Philadelphia Flyers and Quebec Nordiques. 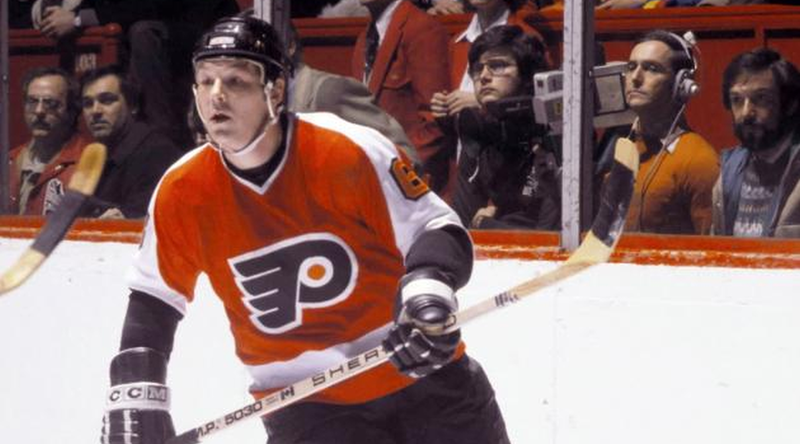 He won back-to-back Stanley Cups while a member of Philadelphia’s “Broad Street Bullies” teams in the mid-1970s. 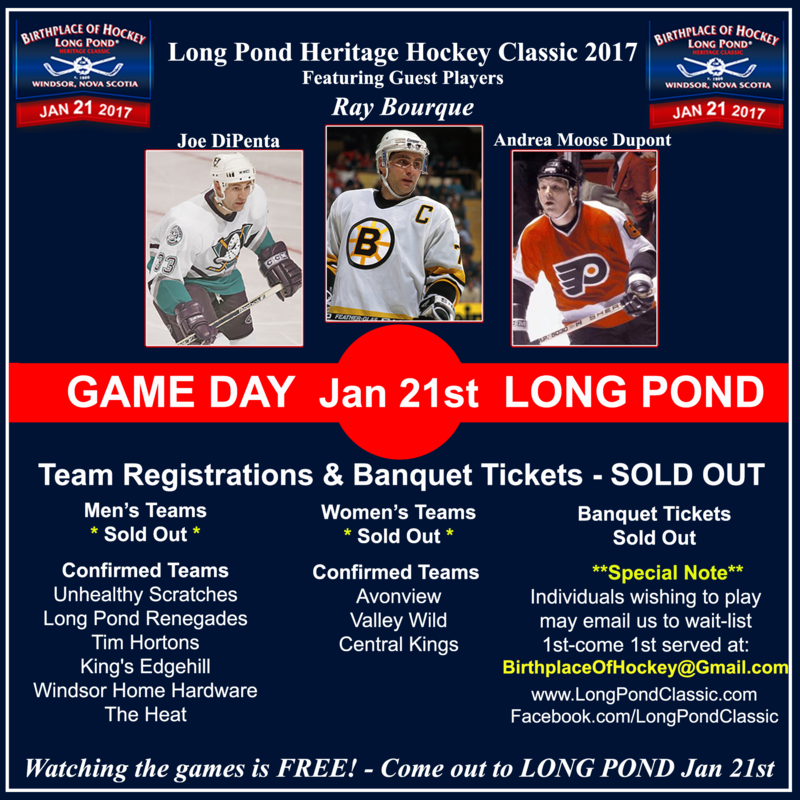 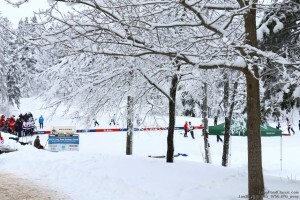 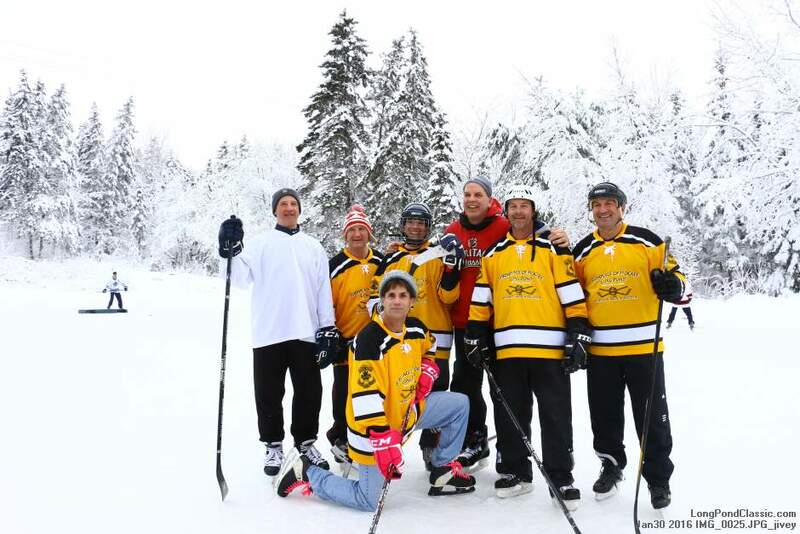 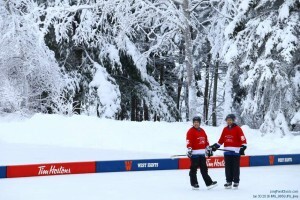 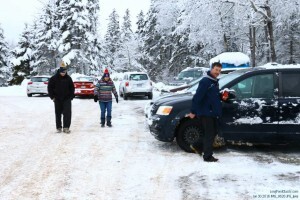 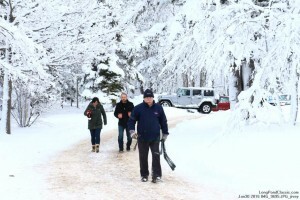 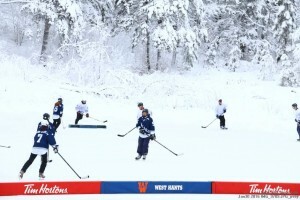 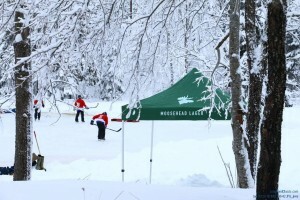 This year’s Long Pond Classic is being held on January 21st. 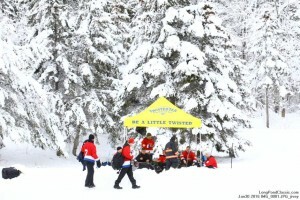 For those interested in playing or attending the annual banquet event details can be found on www.LongLongPondClassic.com. 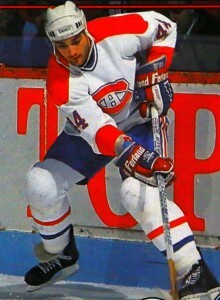 Joe DiPenta was drafted 61st overall by the Florida Panthers in the 1998 NHL Entry Draft. DiPenta grew up in Cole Harbour, Nova Scotia. Former teams include the Halifax Mooseheads, Boston University, Philadelphia Phantoms, Chicago Wolves, Atlanta Thrashers, Manitoba Moose and Anaheim Ducks. 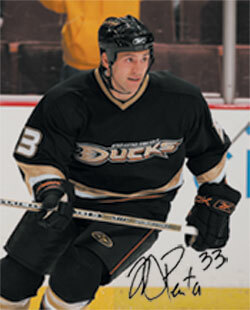 He won the Stanley Cup in 2007 with the Anaheim Ducks. In the 2008–09 season, DiPenta signed a one-year contract with Frölunda HC of Elitserien.